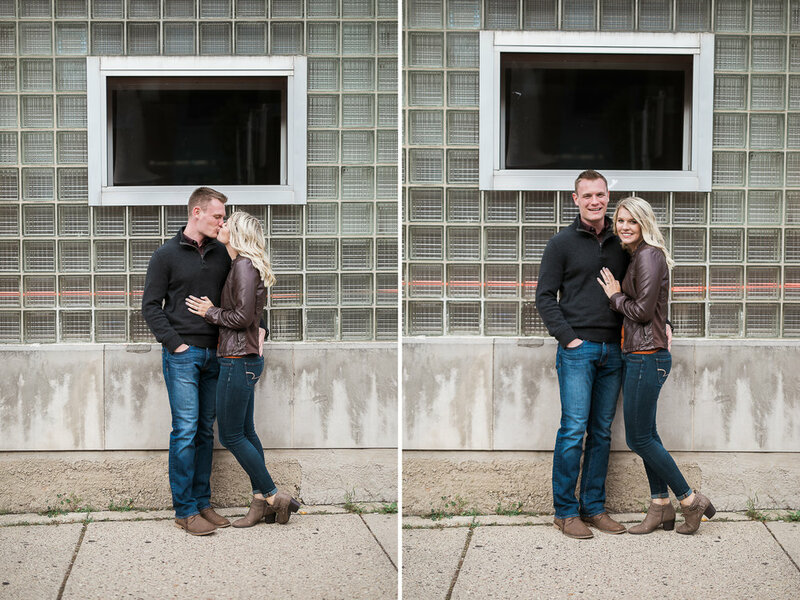 Follow along with my photo stories and journeys on my blog. 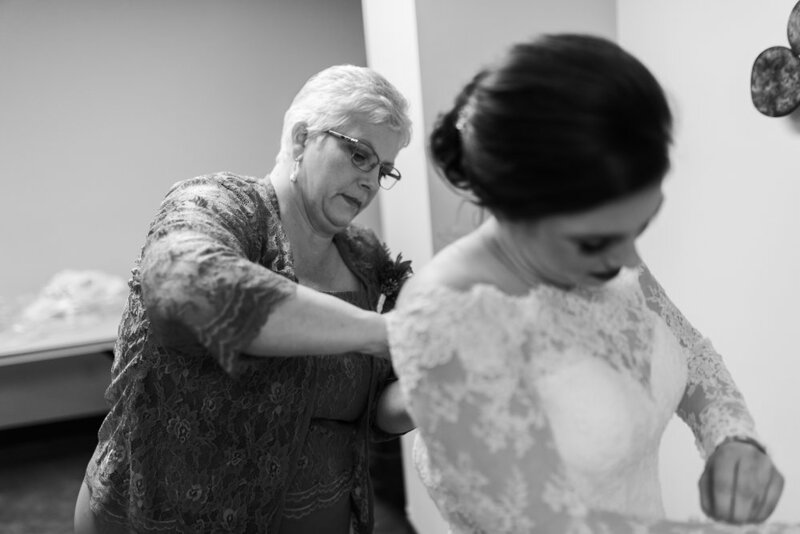 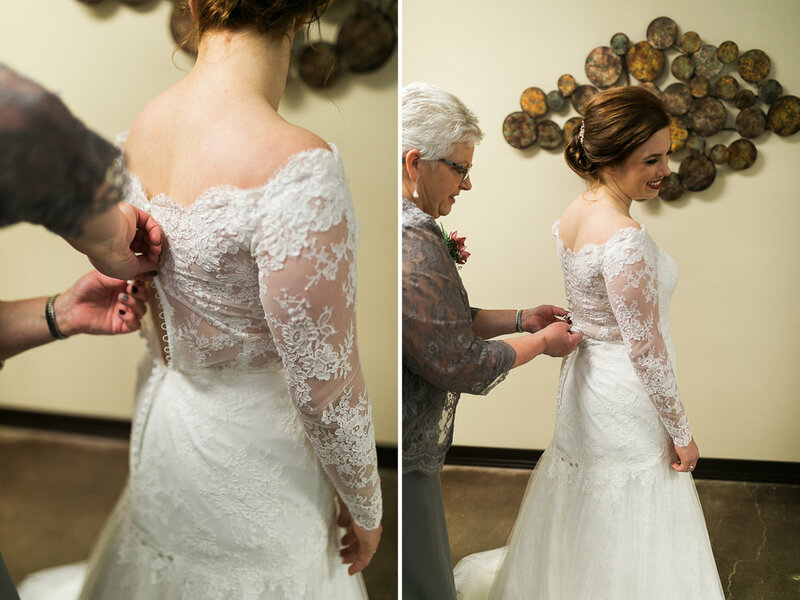 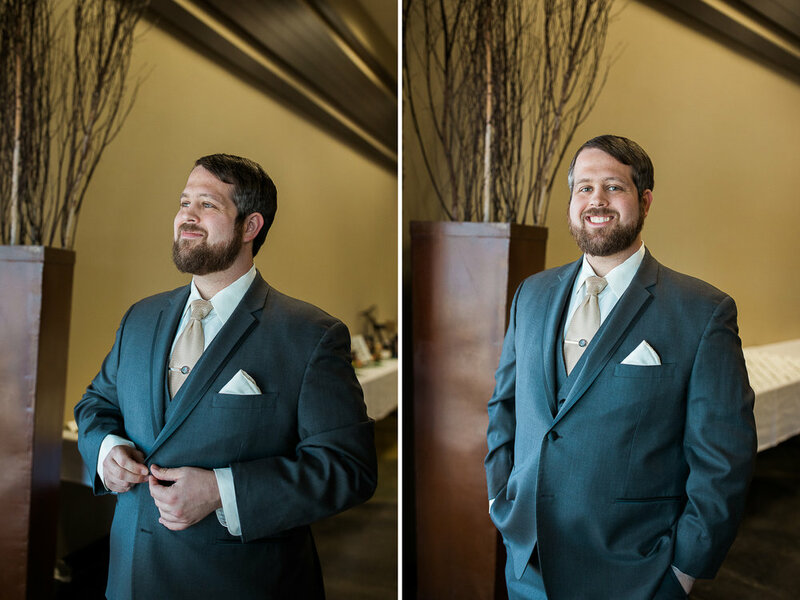 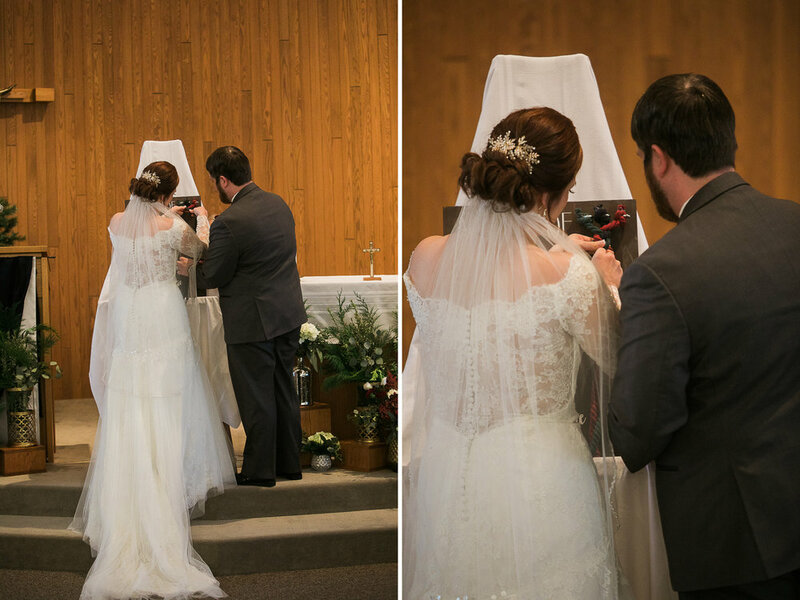 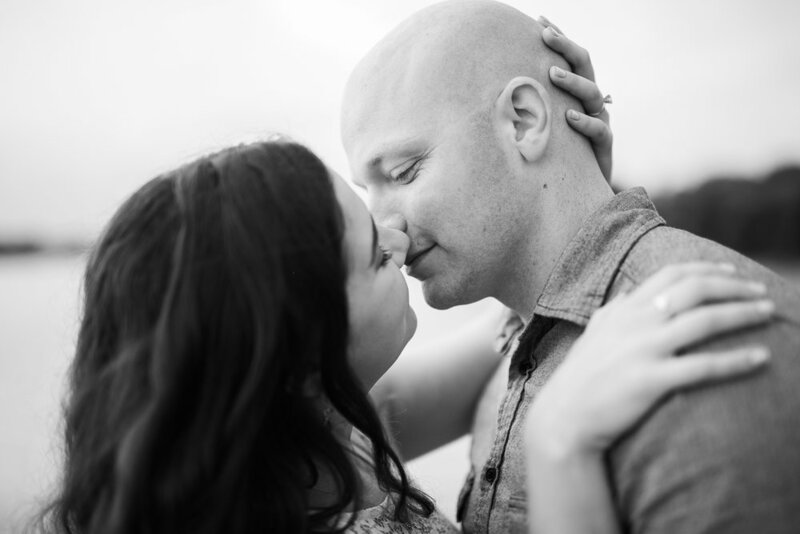 My passion is candid and intimate shots, so wedding, engagement, senior and lifestyle are a few of my specialties. 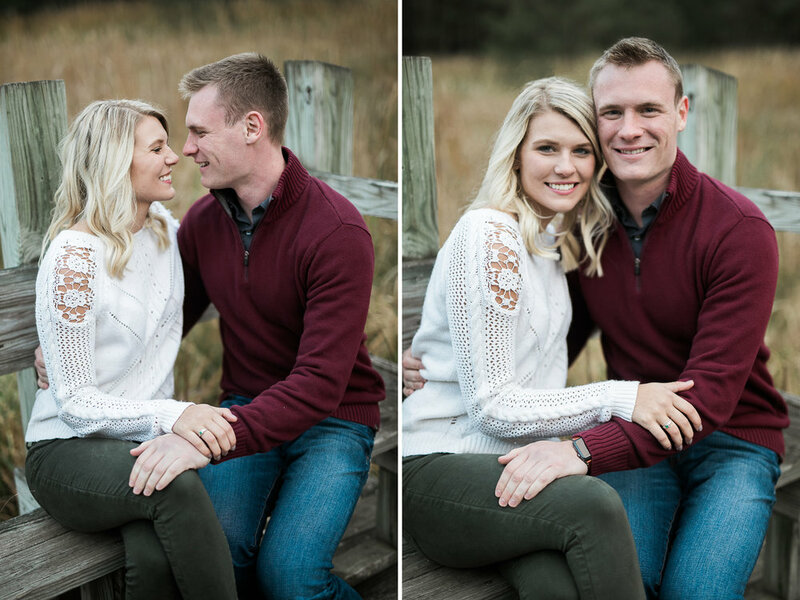 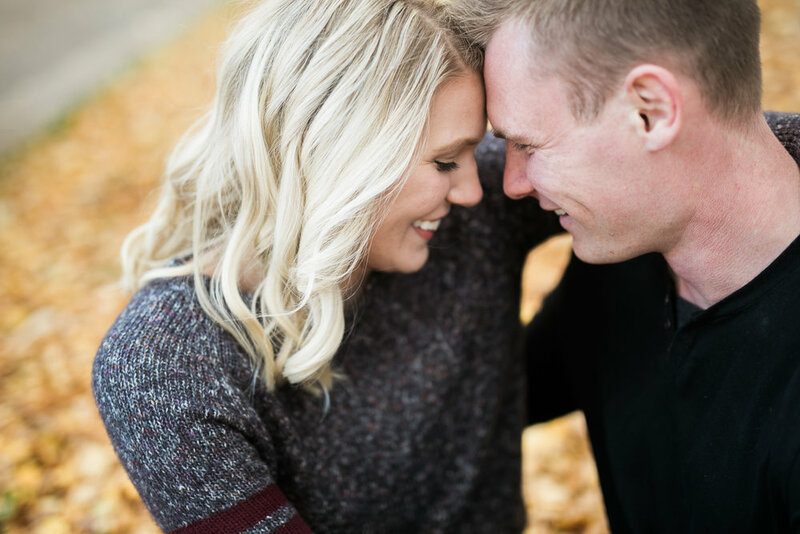 The other thing that I truly love about these two and their session is just how natural and sweet they are with each other! 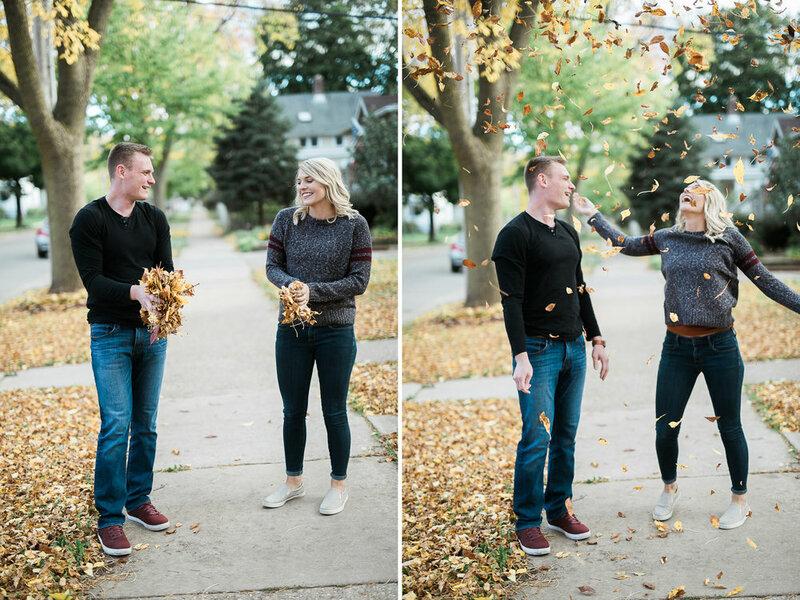 That allowed them to bring out their fun and silly sides which I absolutely love getting to capture!! 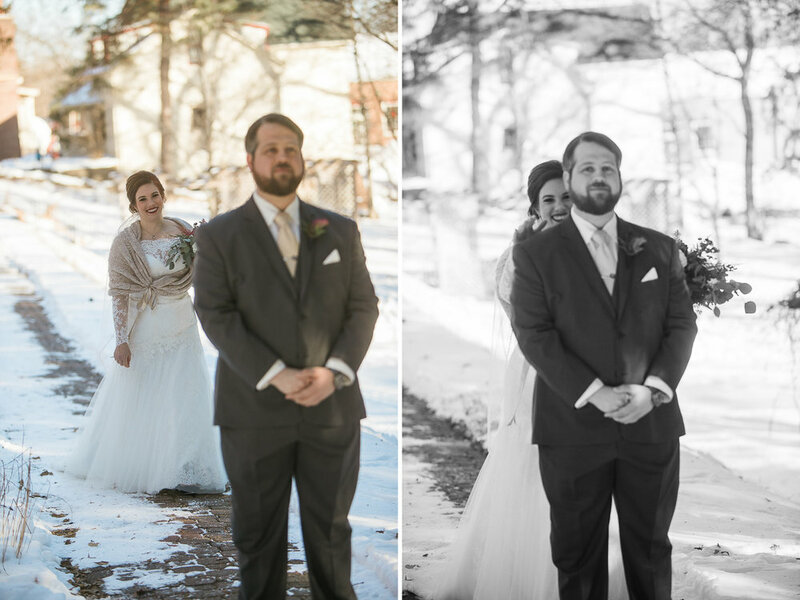 The moral of the story? 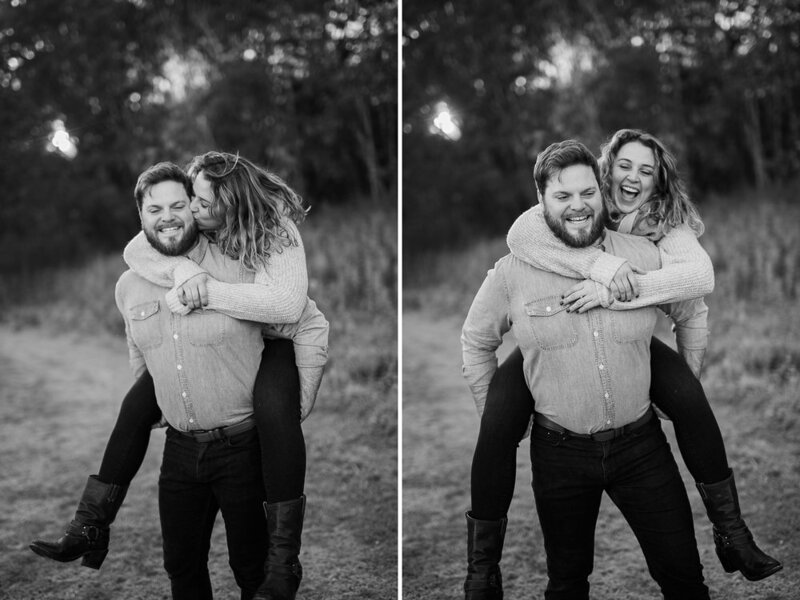 Print your photos!!! 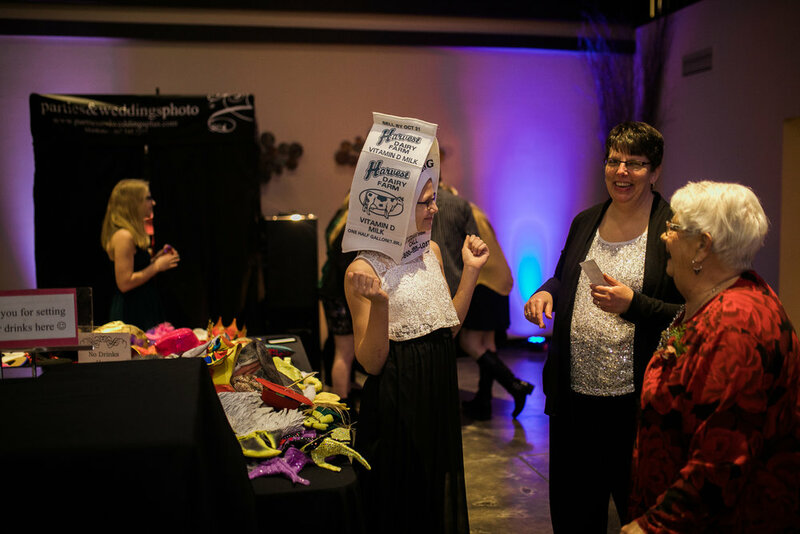 And don’t be afraid to just let your hair down and be yourself. 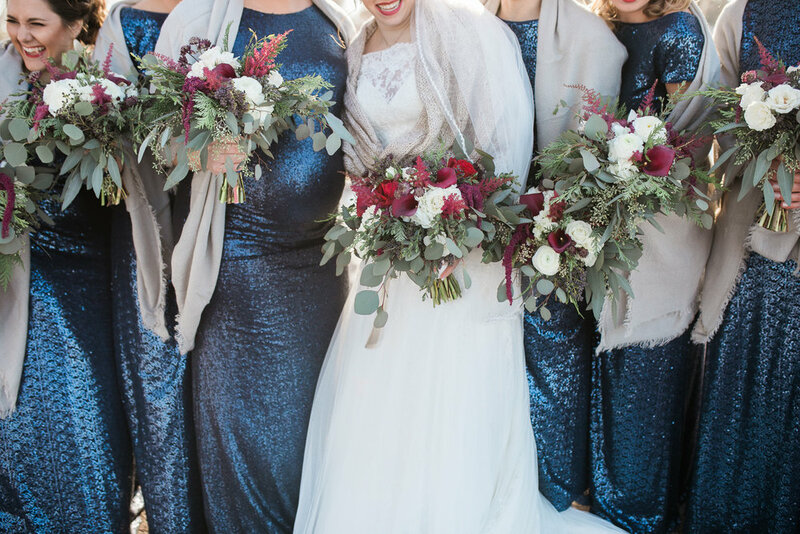 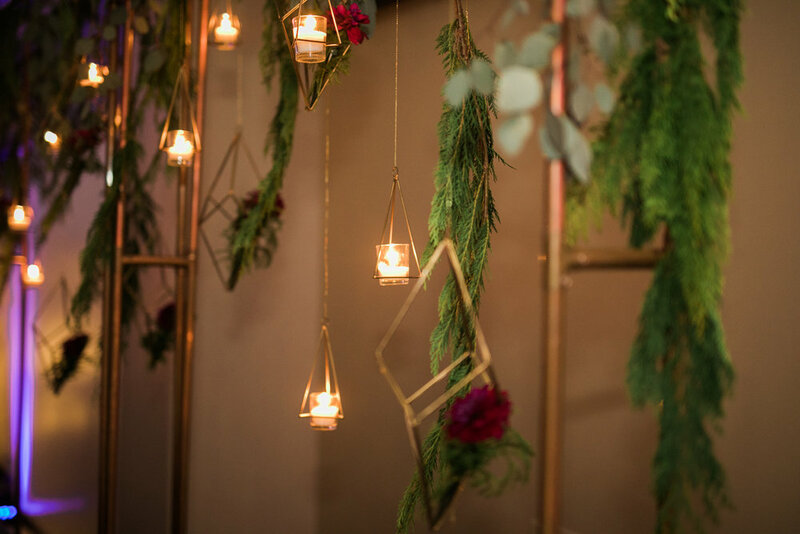 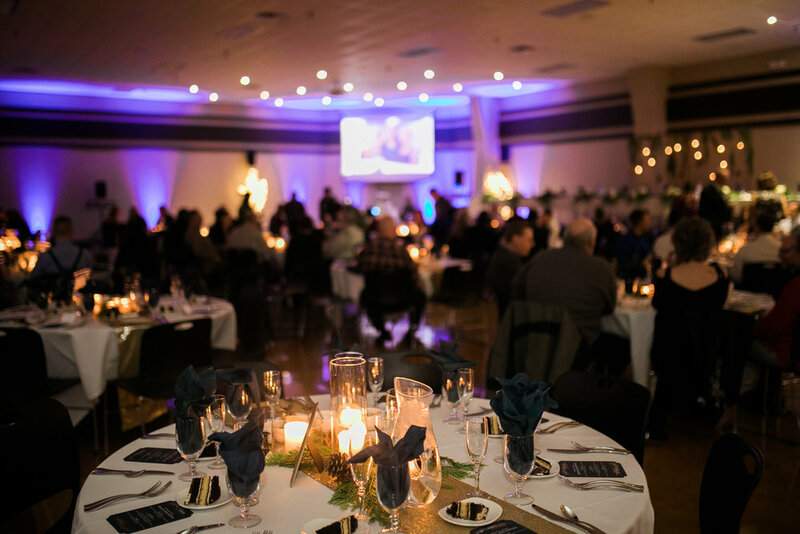 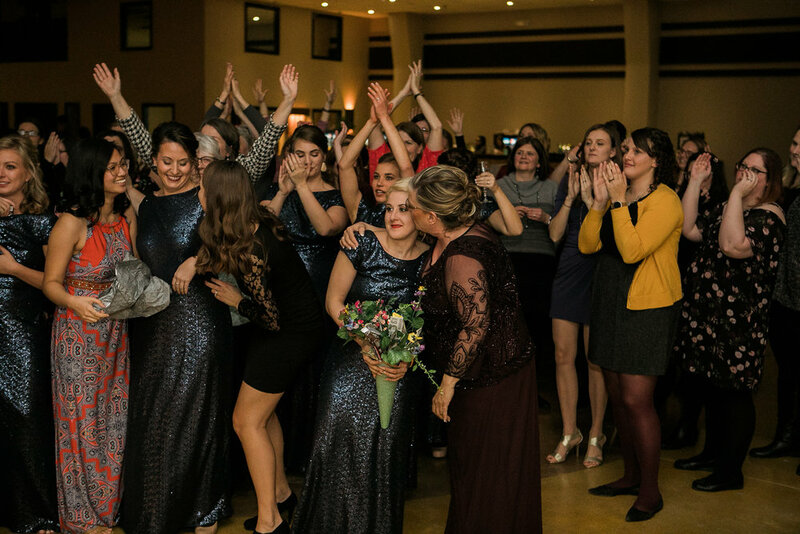 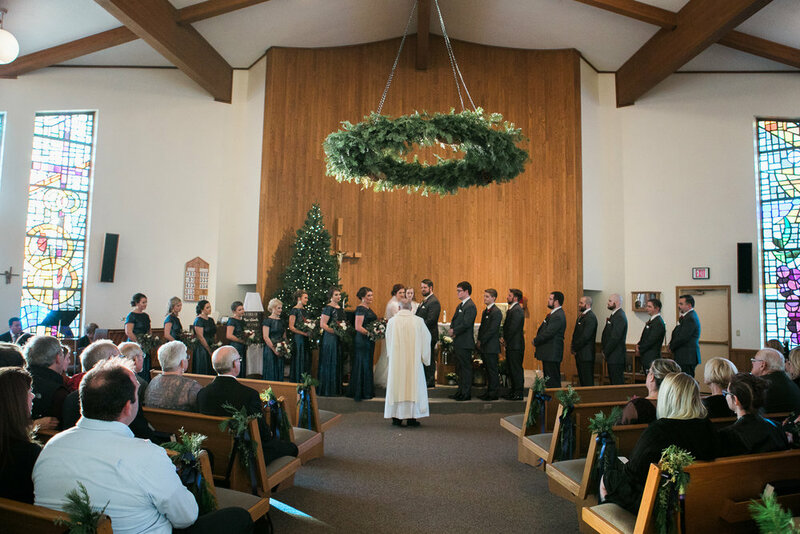 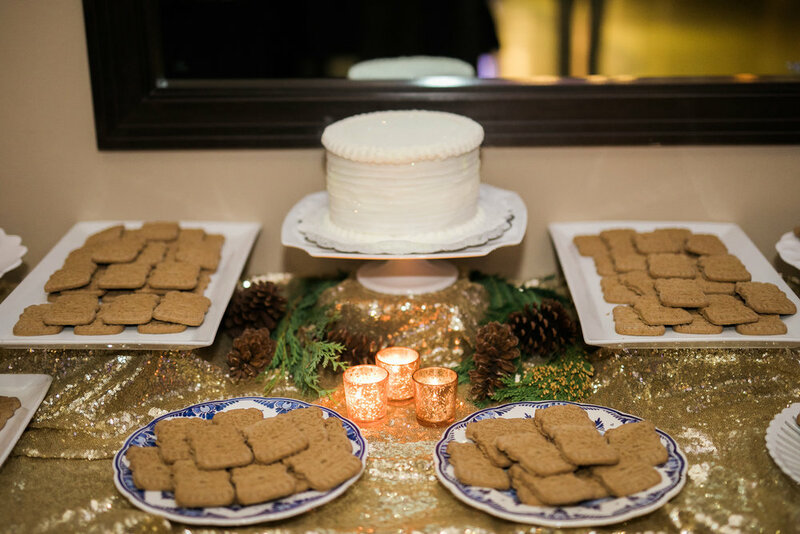 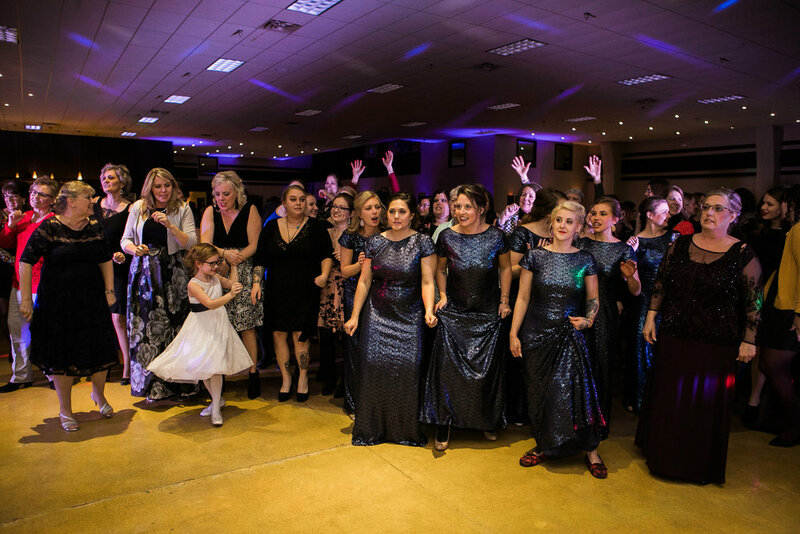 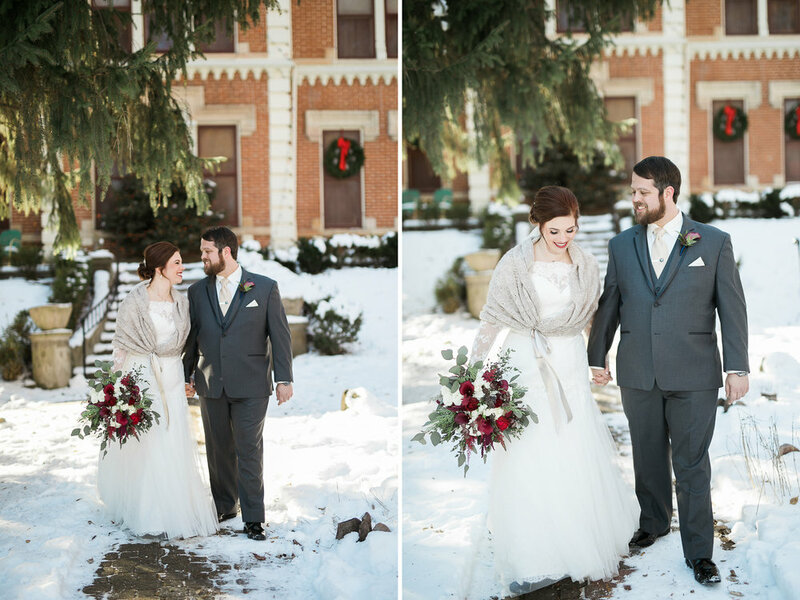 I wish more people planned winter weddings! 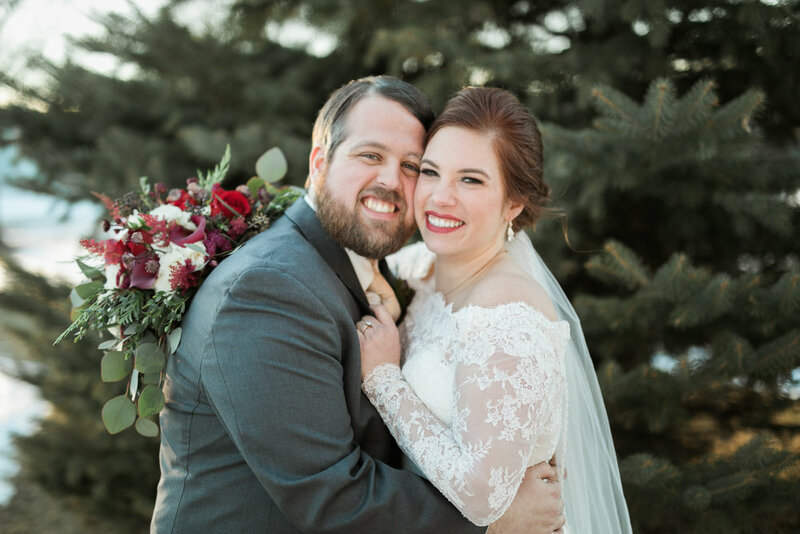 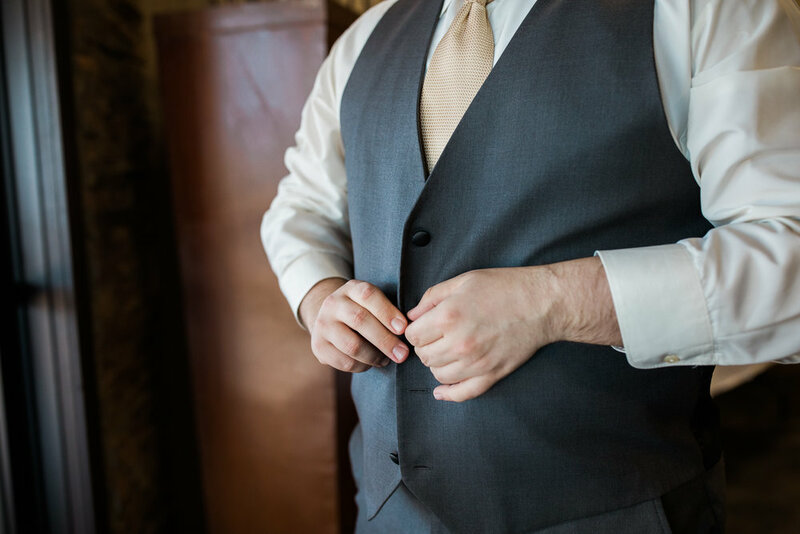 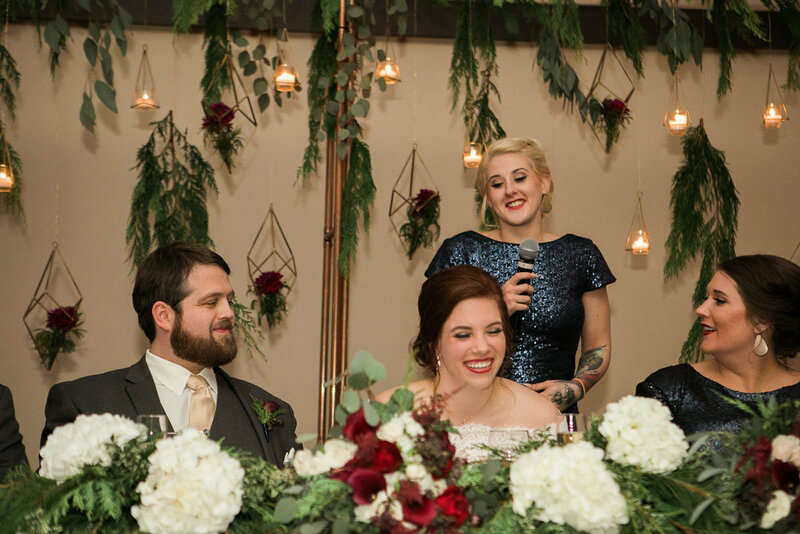 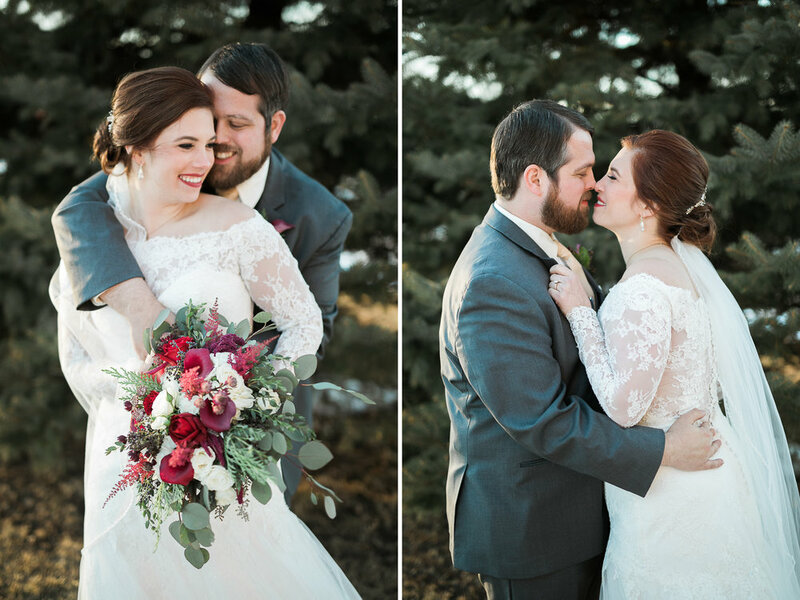 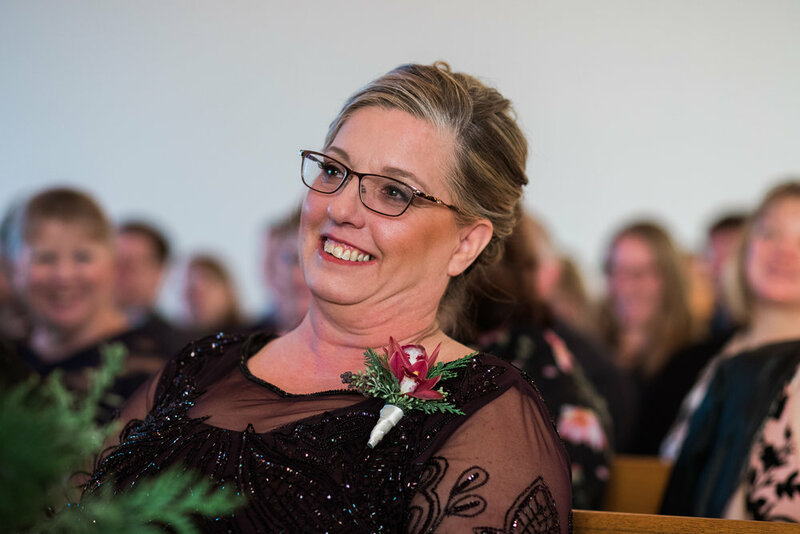 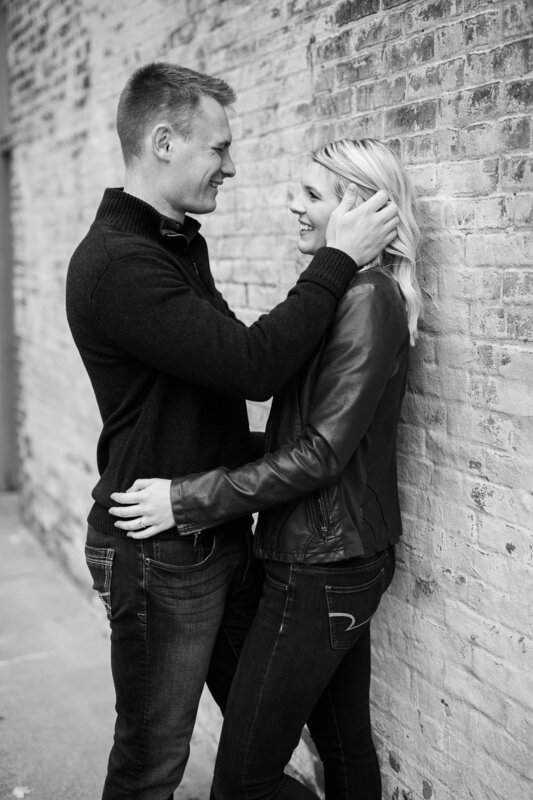 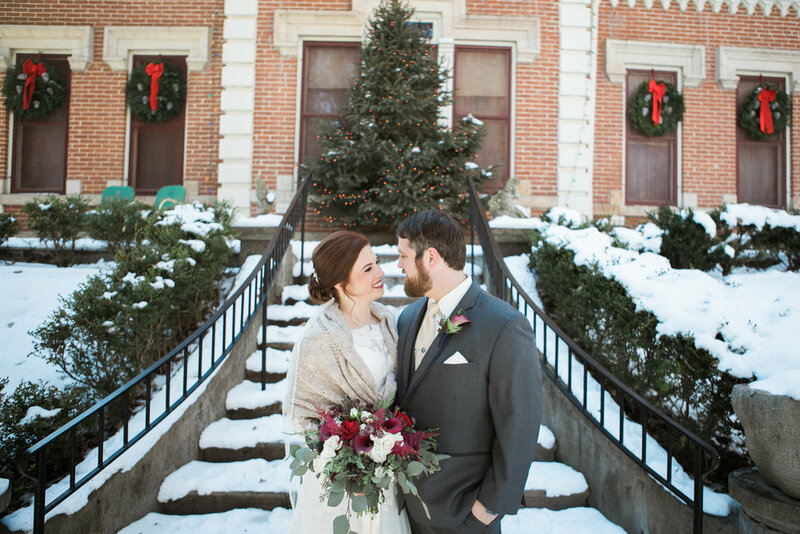 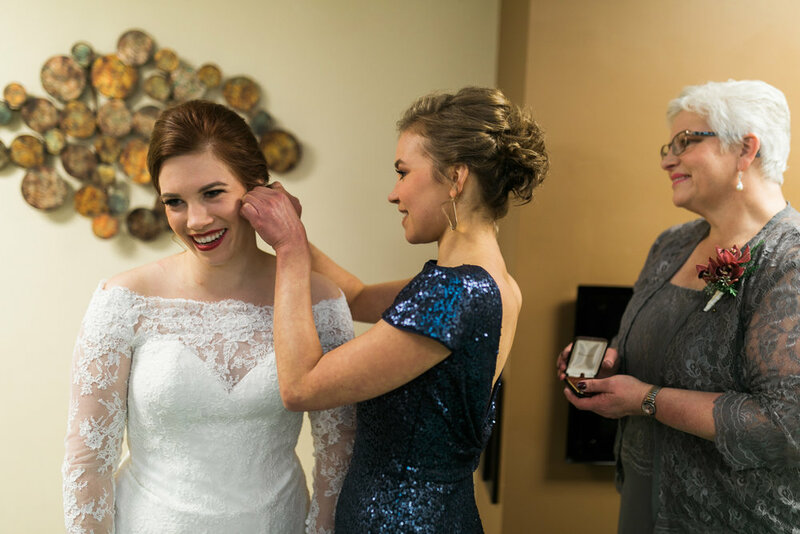 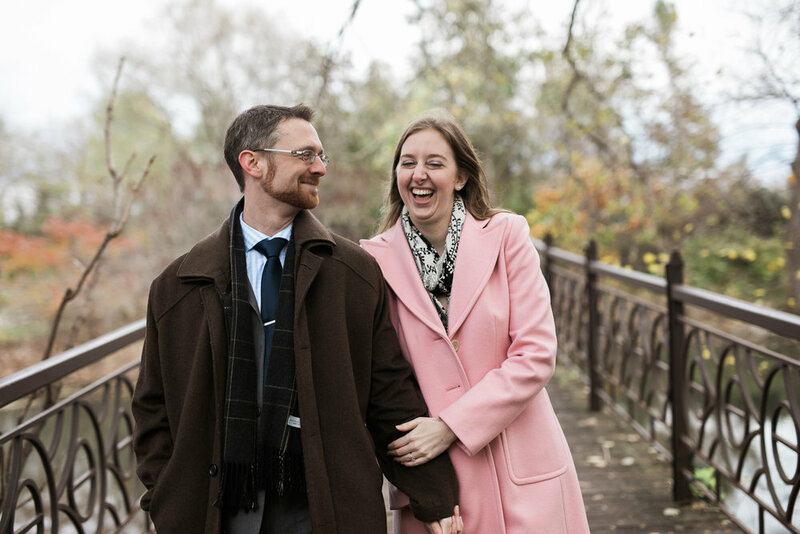 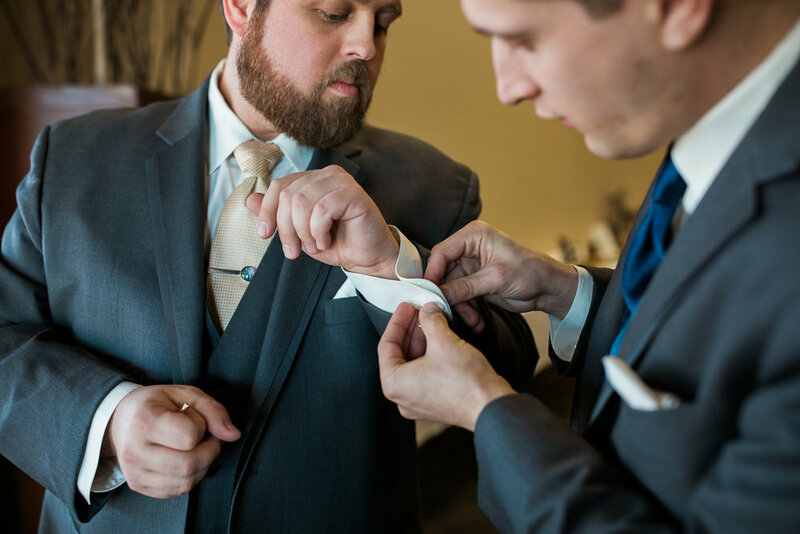 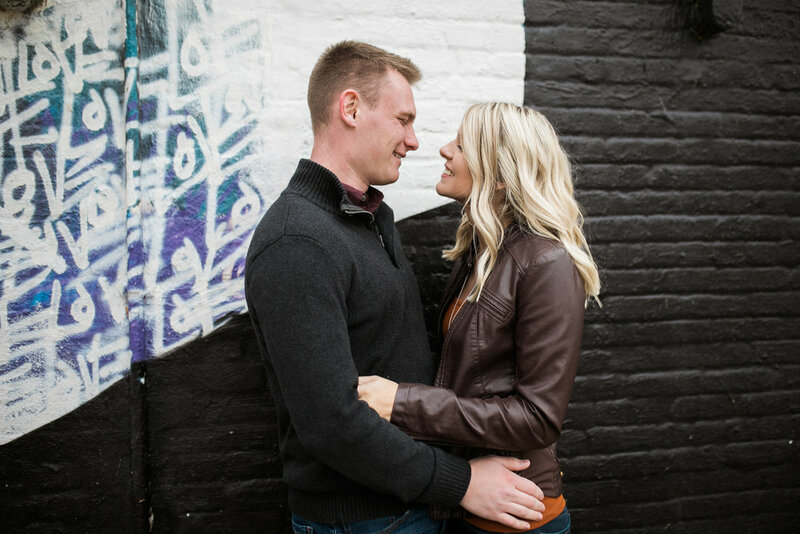 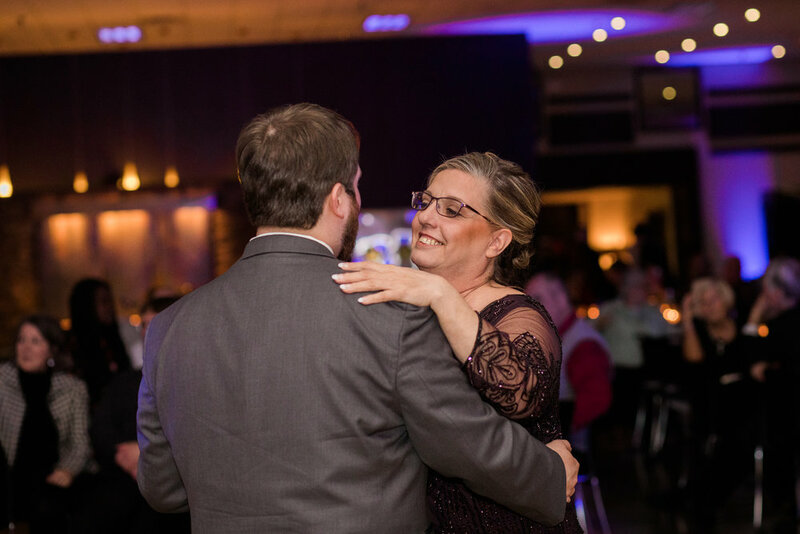 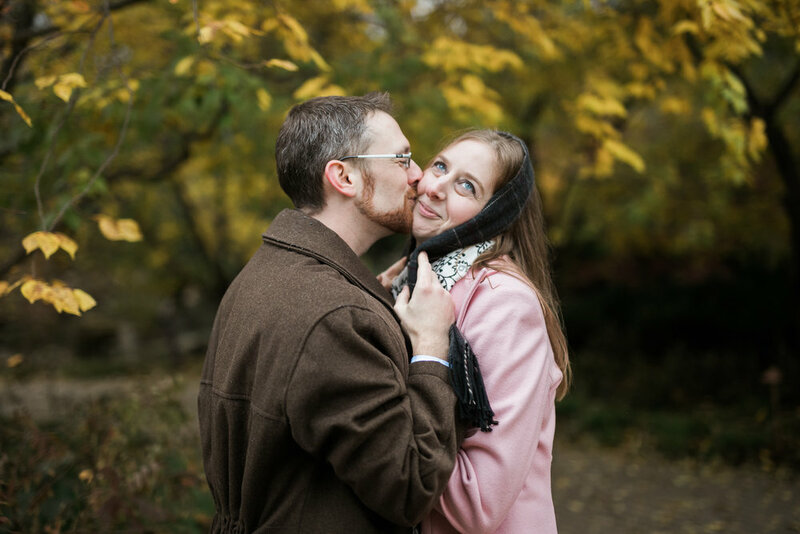 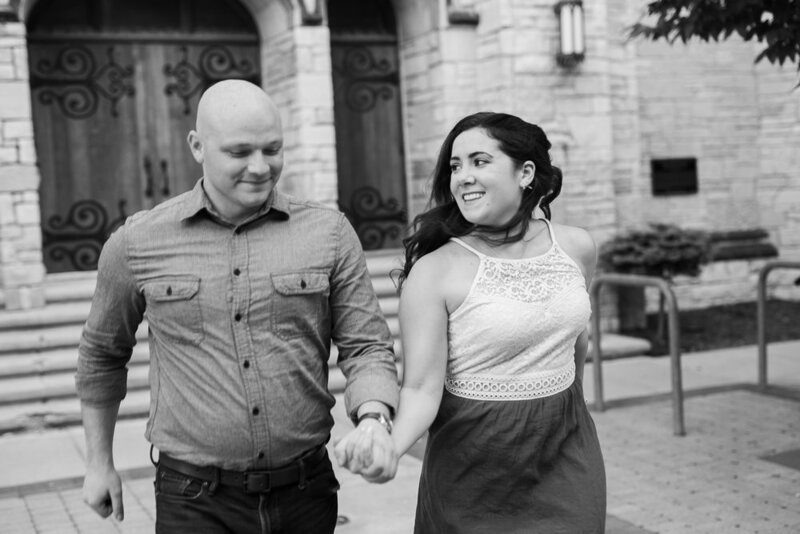 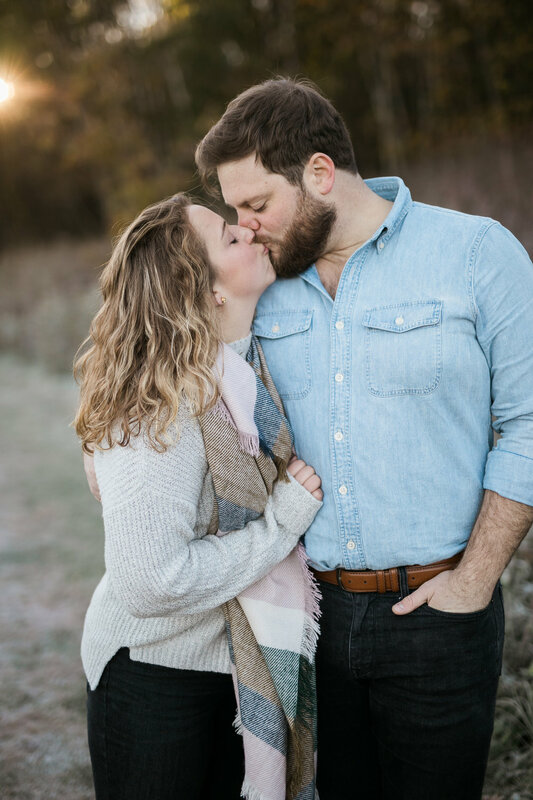 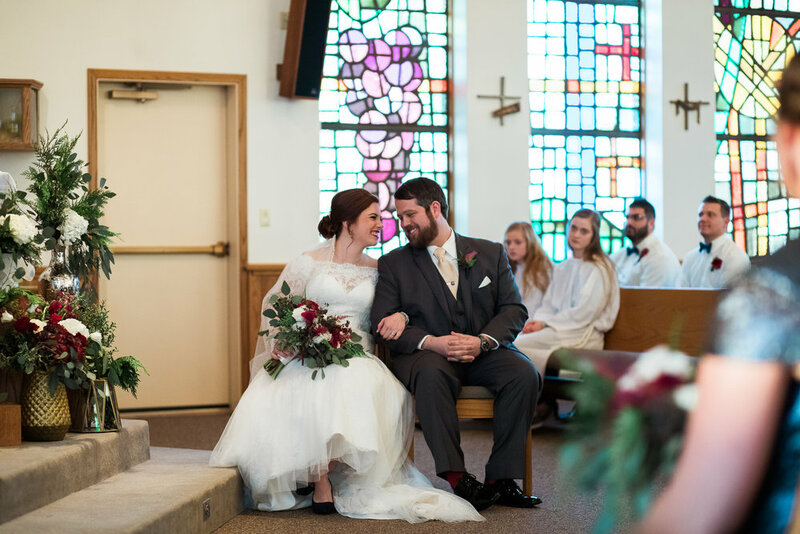 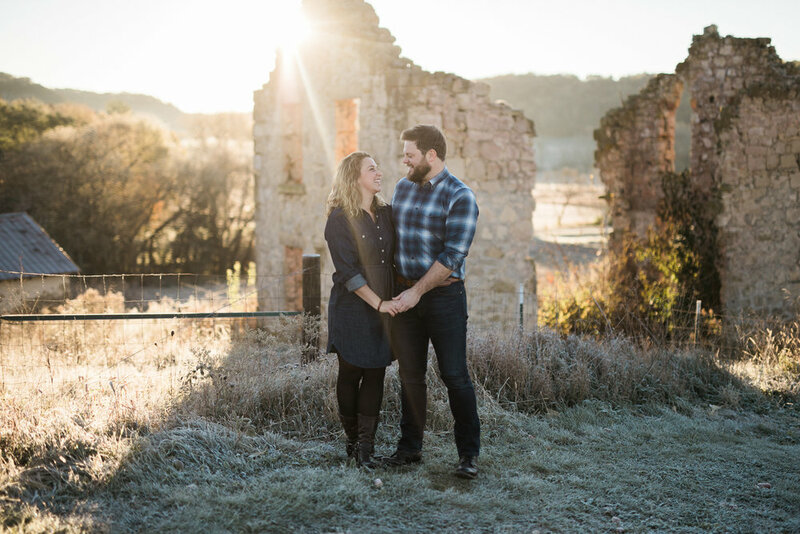 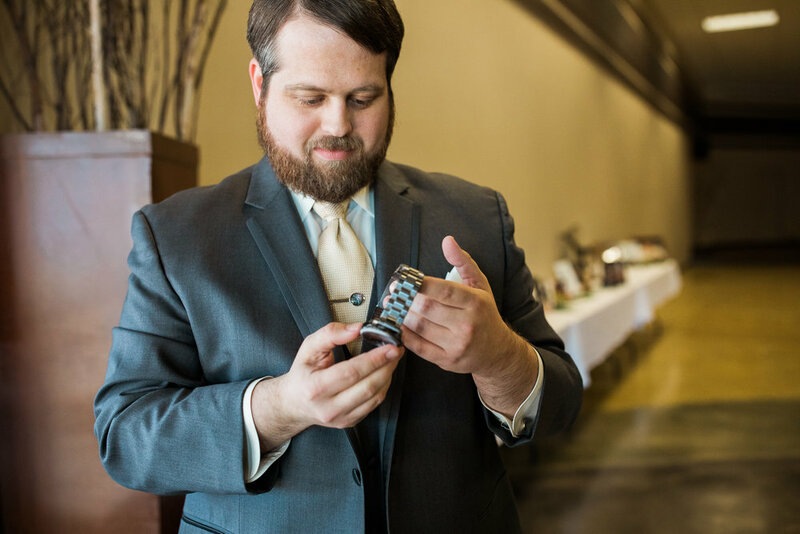 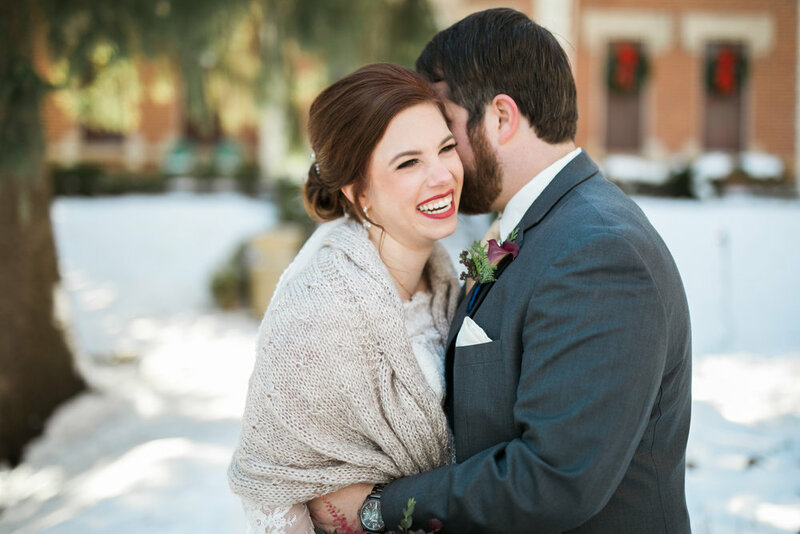 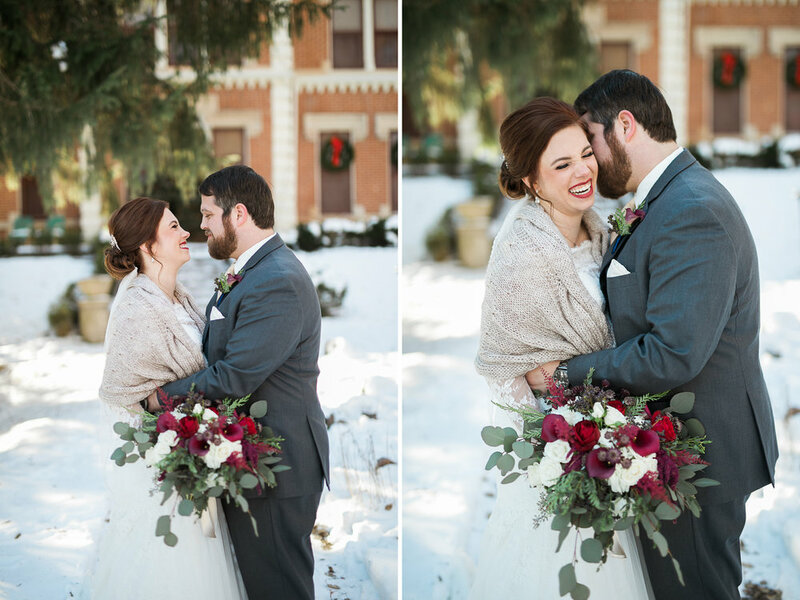 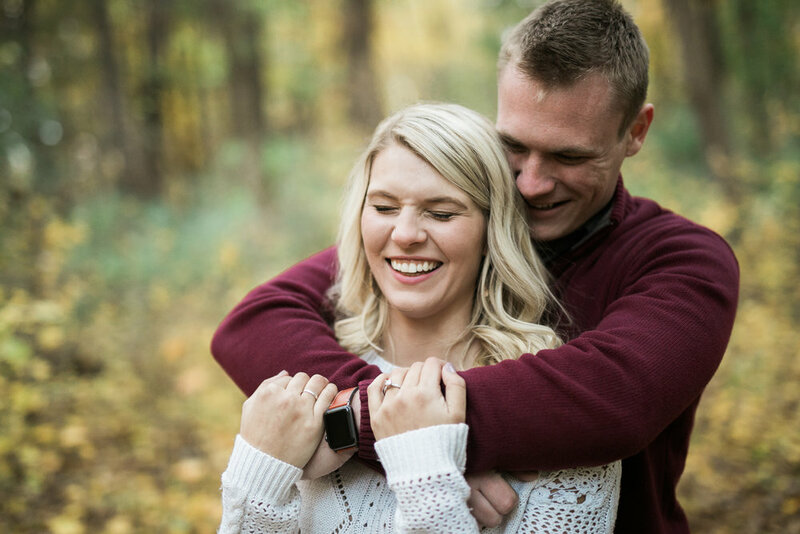 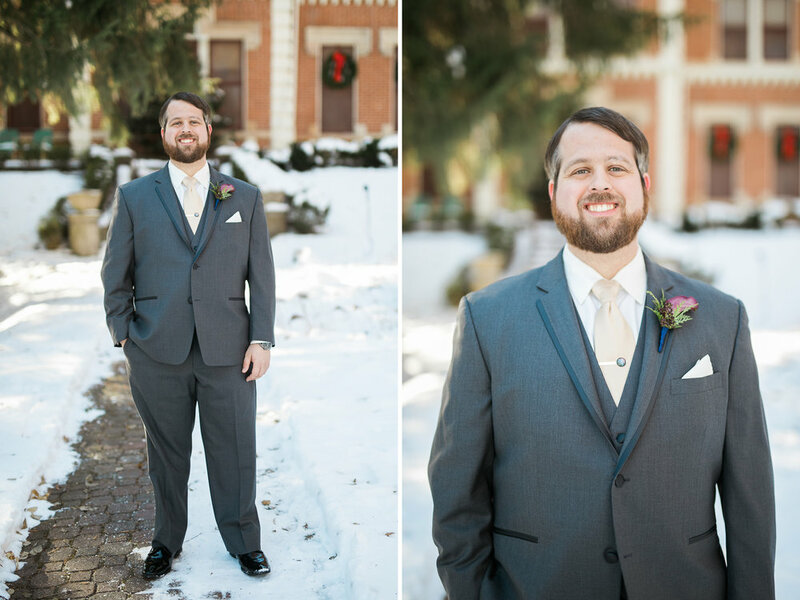 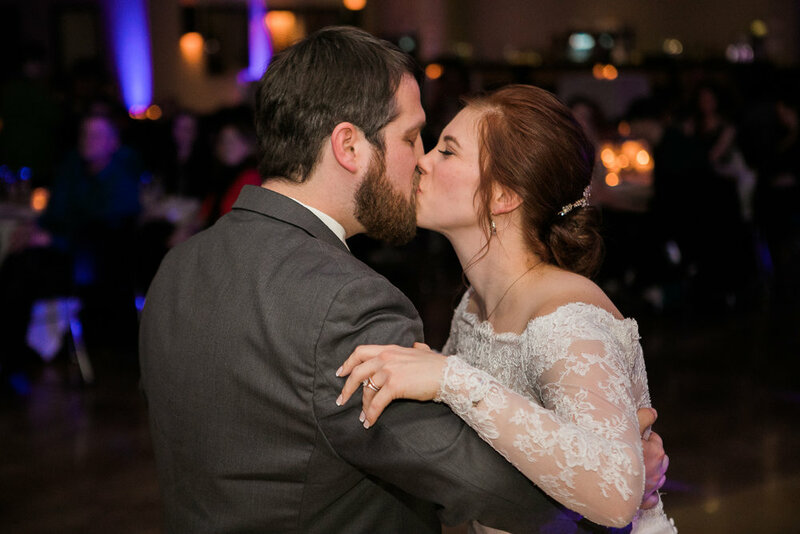 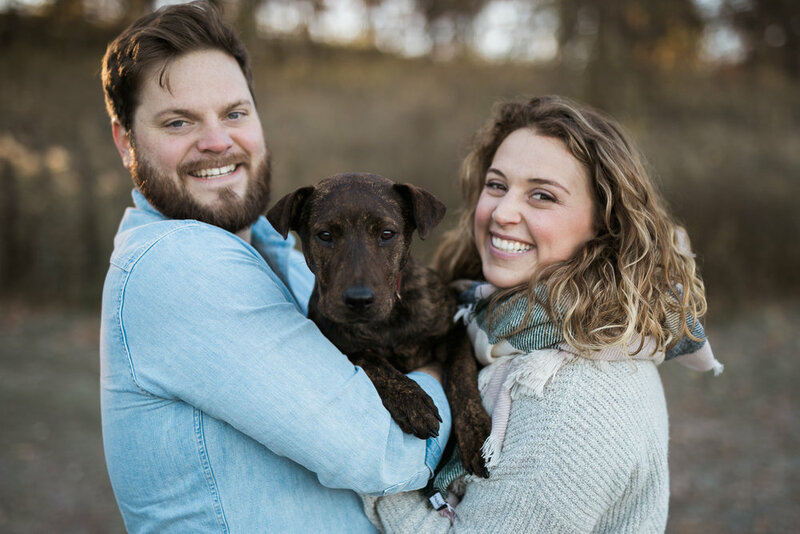 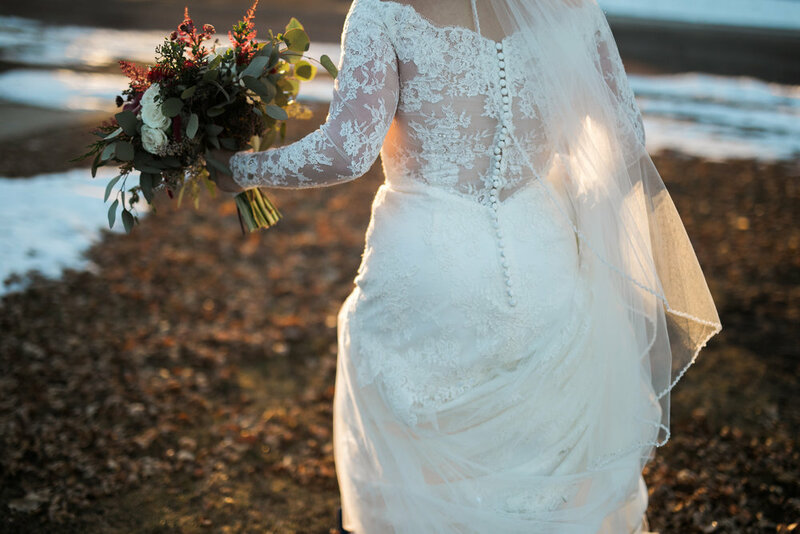 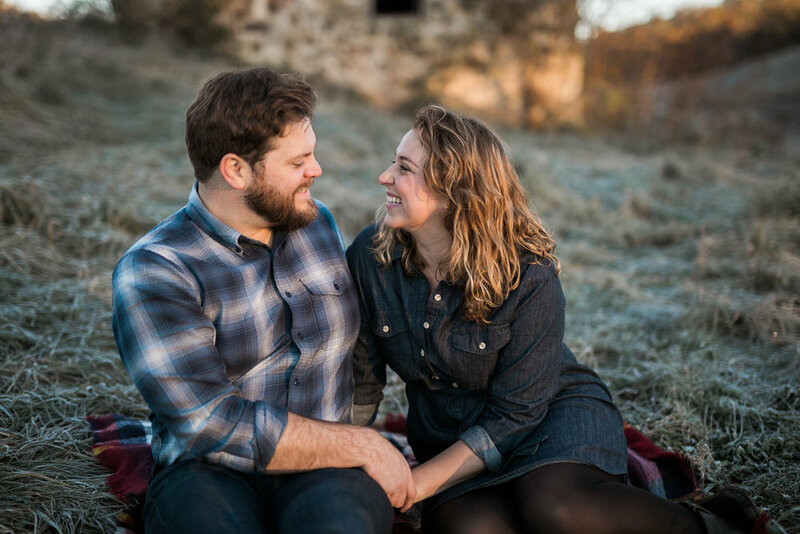 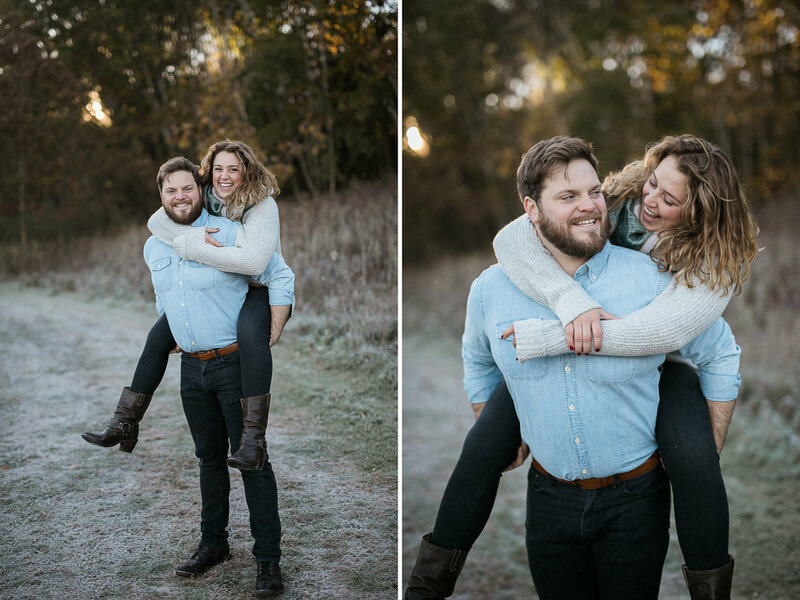 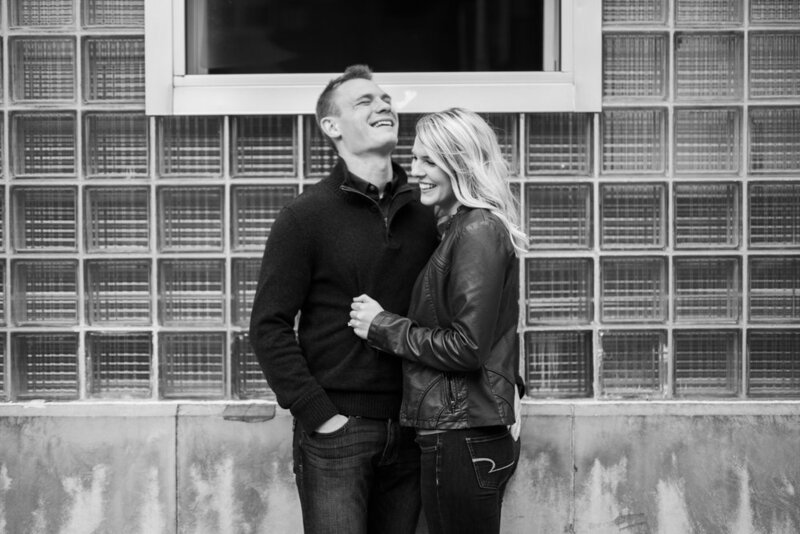 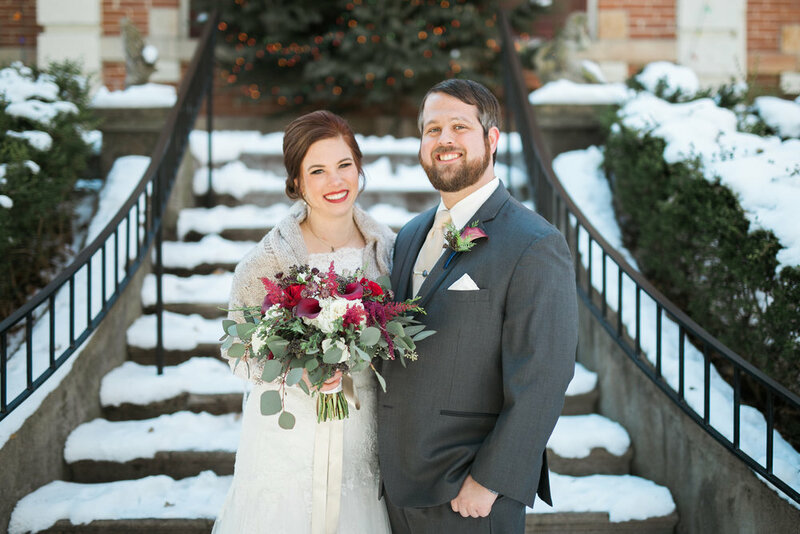 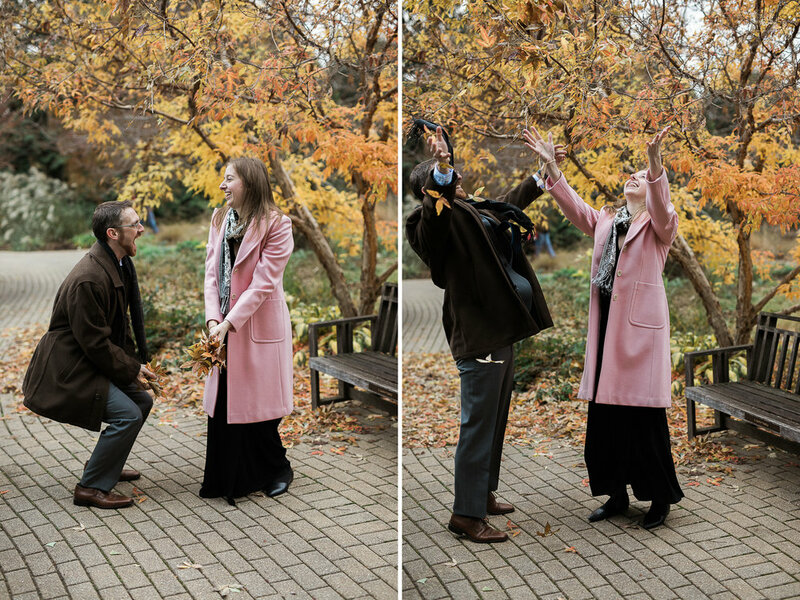 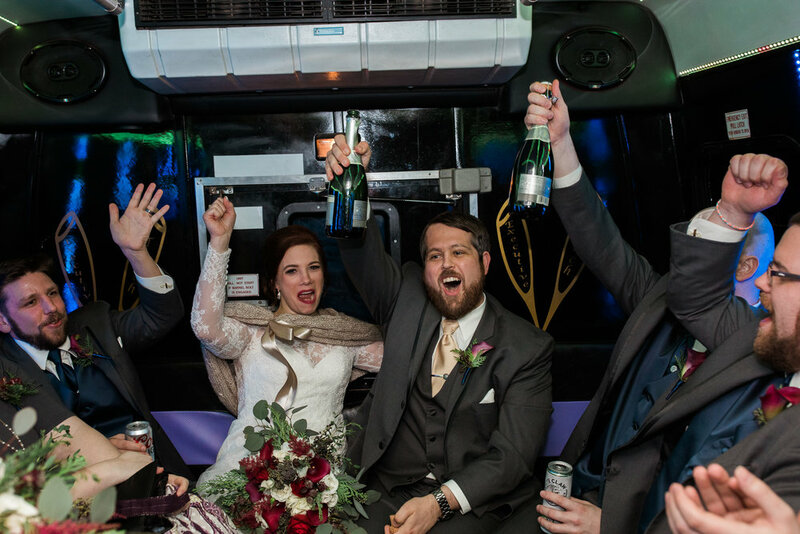 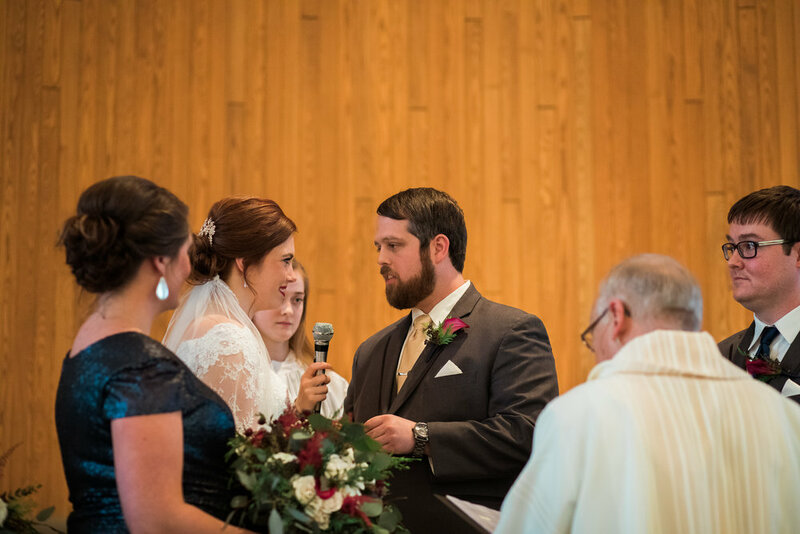 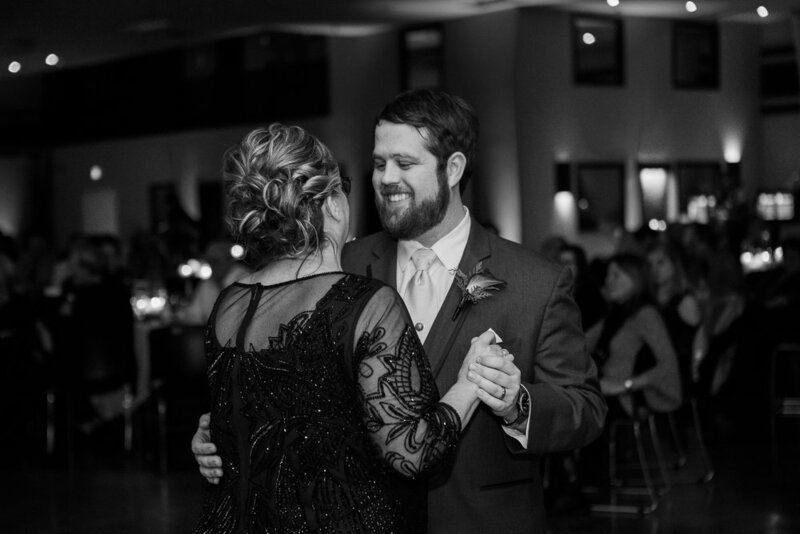 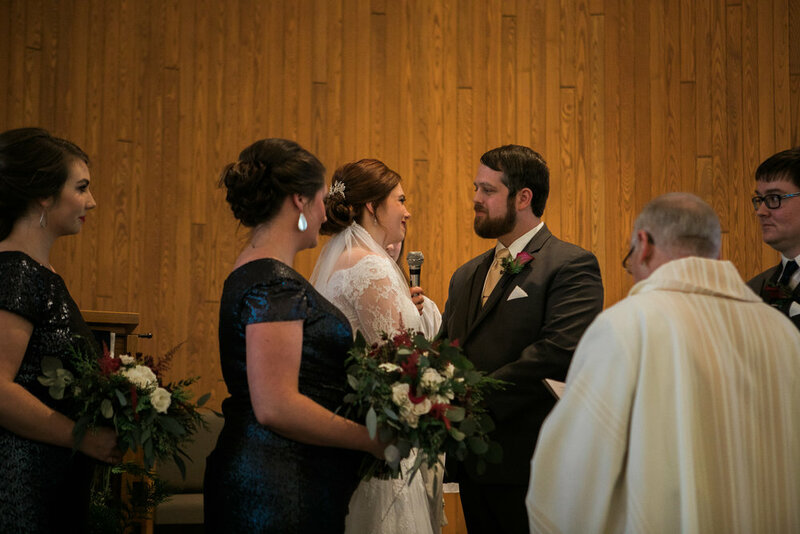 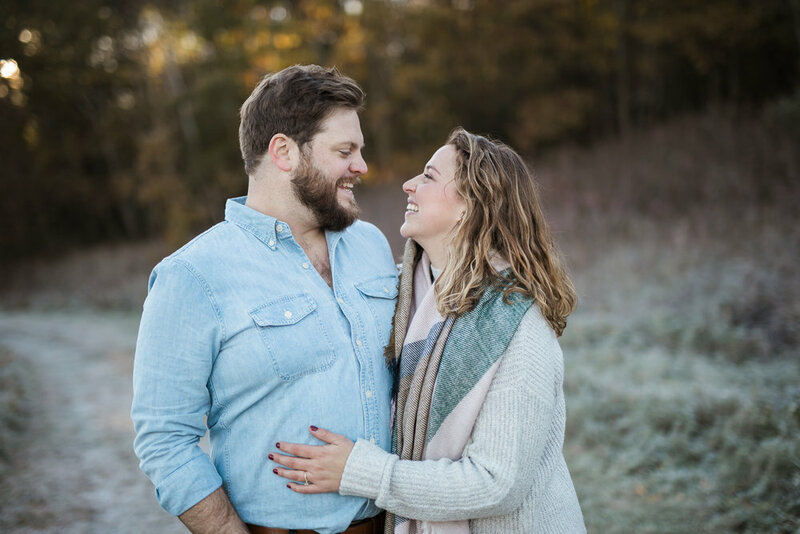 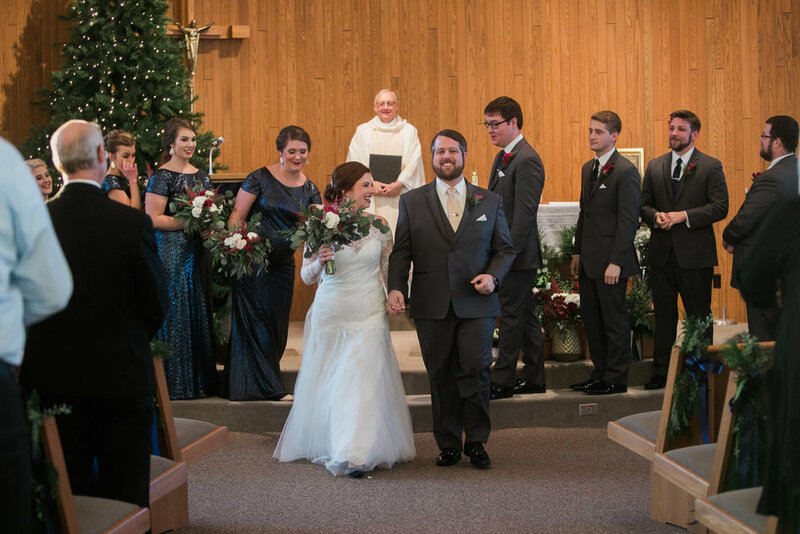 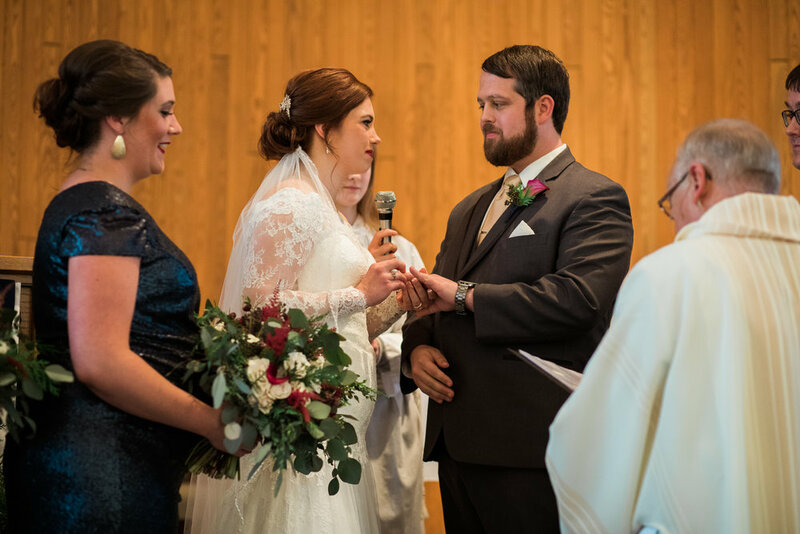 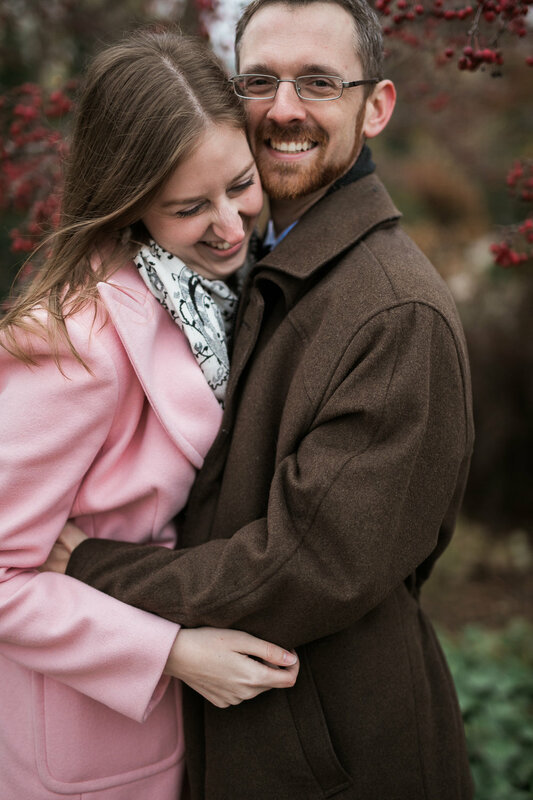 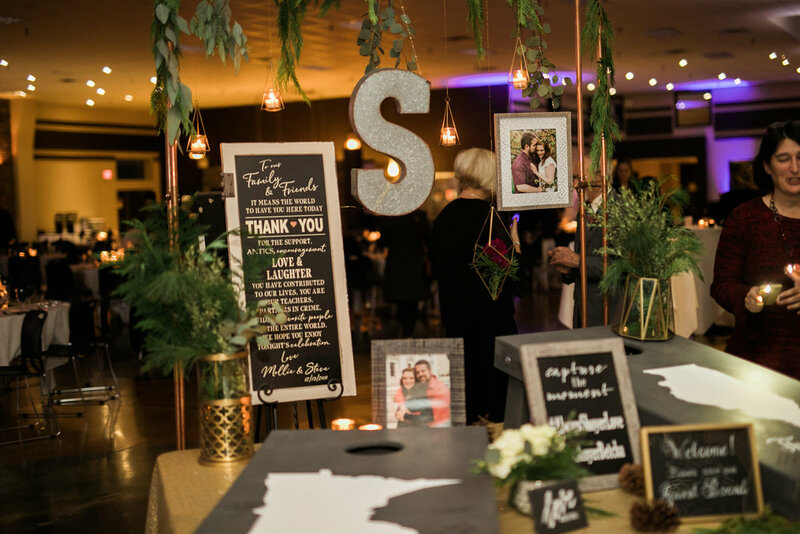 Honestly, I know the cold and snow may sound daunting or not ideal to deal with, but I think it’s fun and a little more unique :) Mollie and Steve stayed true to who they are and what they wanted and that included planning super fun winter getaway for their friends and family to New Ulm, Minnesota. 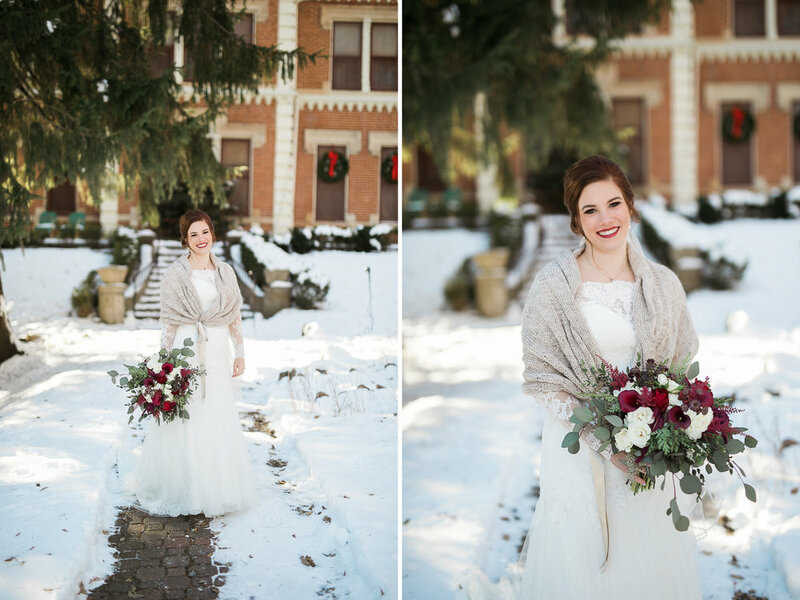 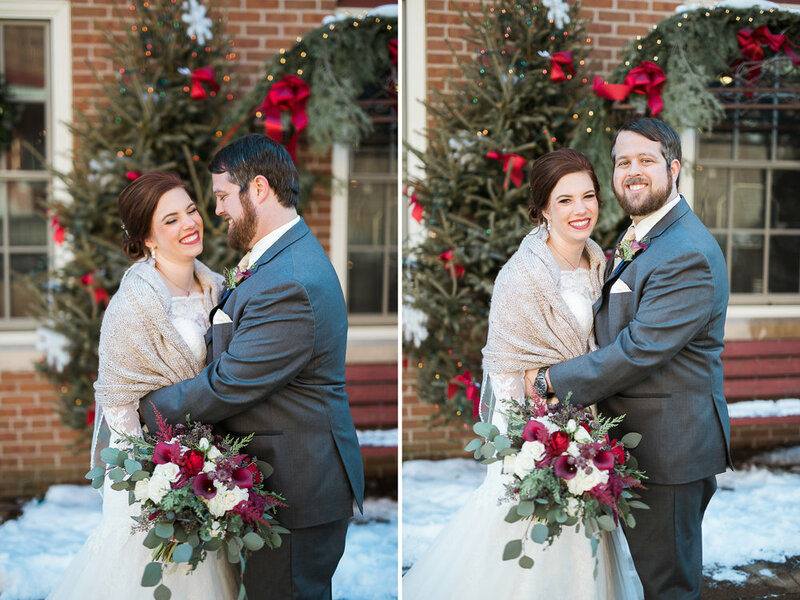 Leading up to their wedding day I was actually worried we wouldn’t have any snow, but luckily we had just enough to create those beautiful winter wonderland portraits that you brave the cold for! 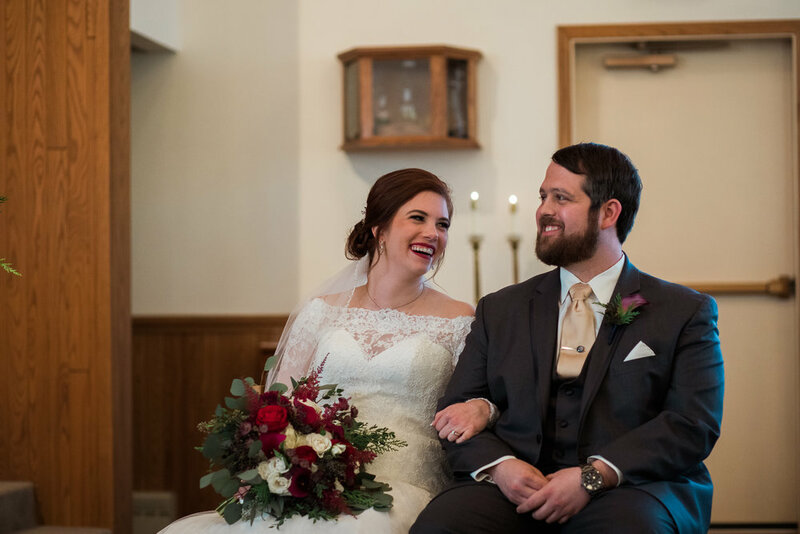 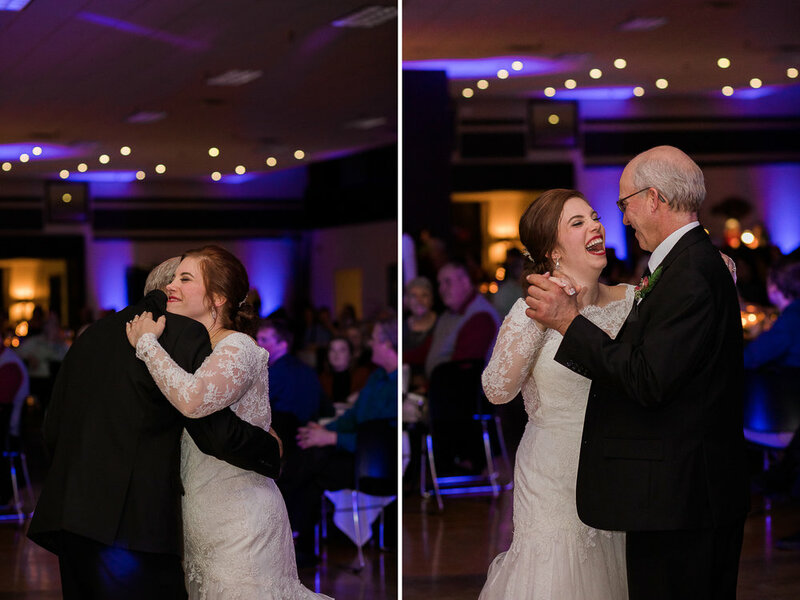 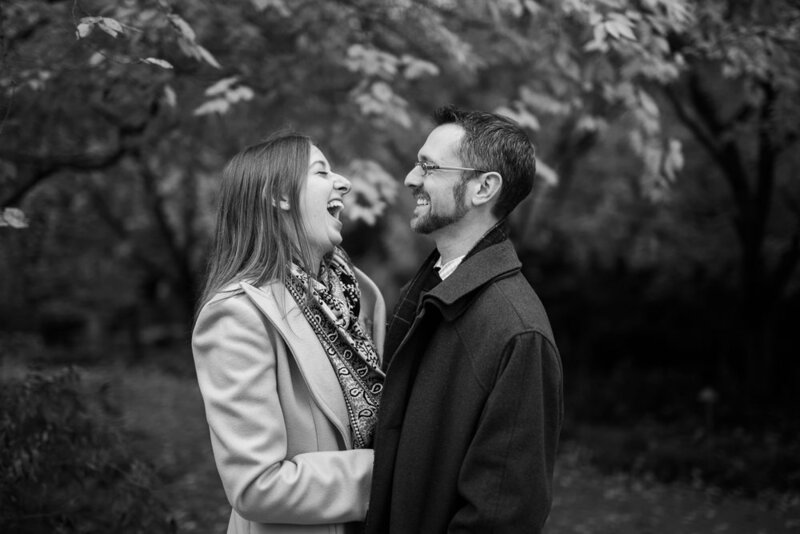 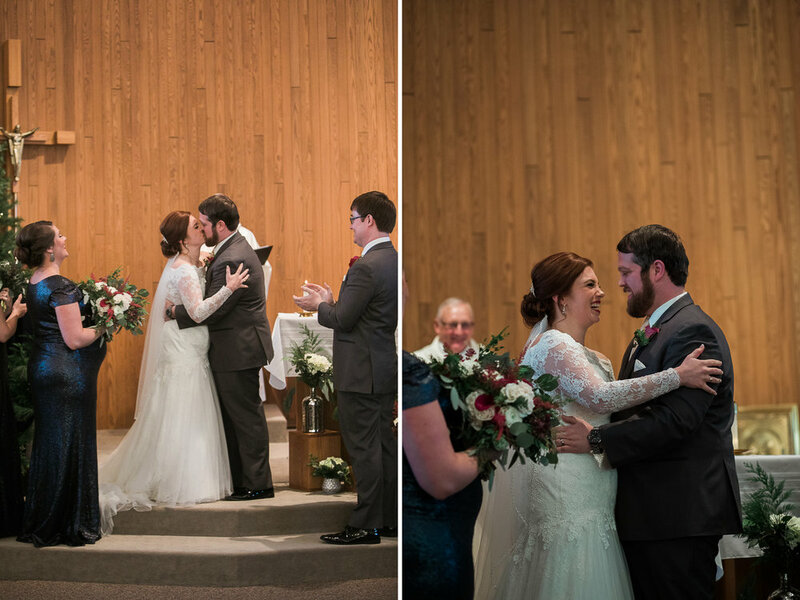 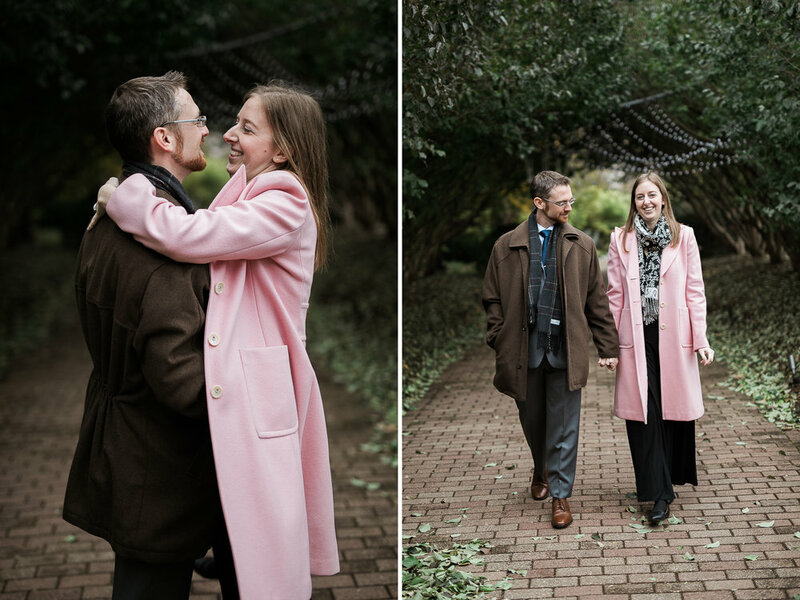 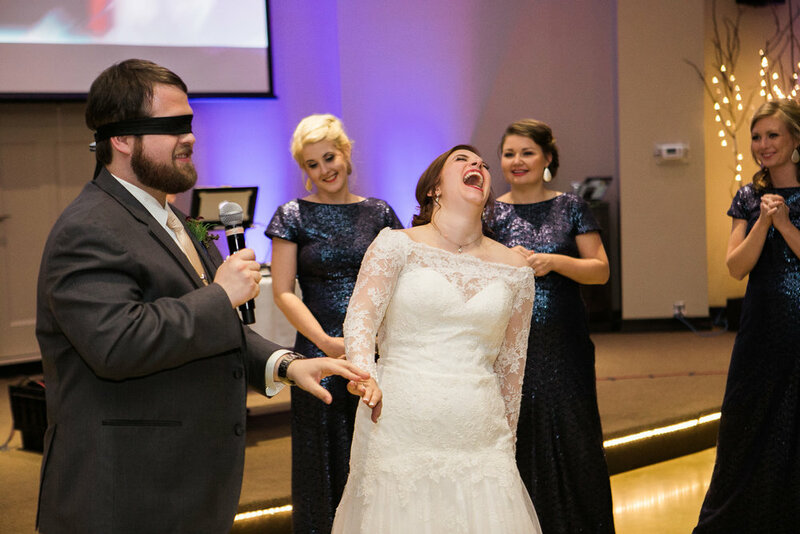 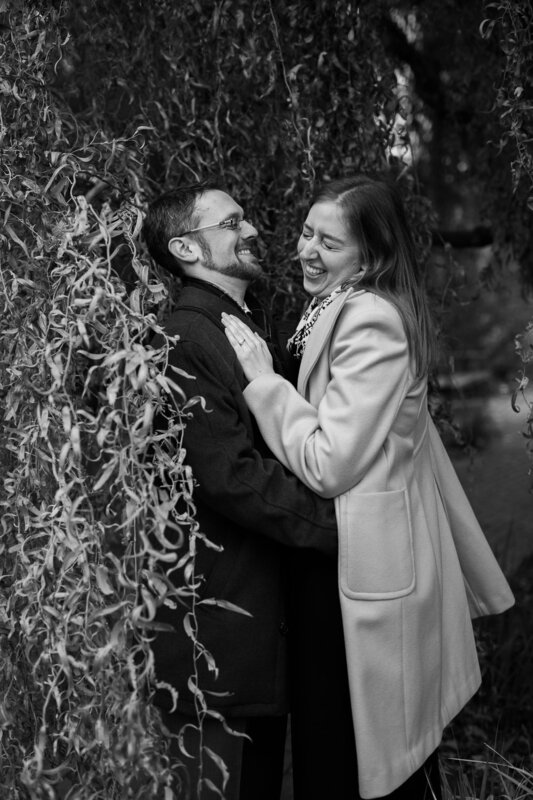 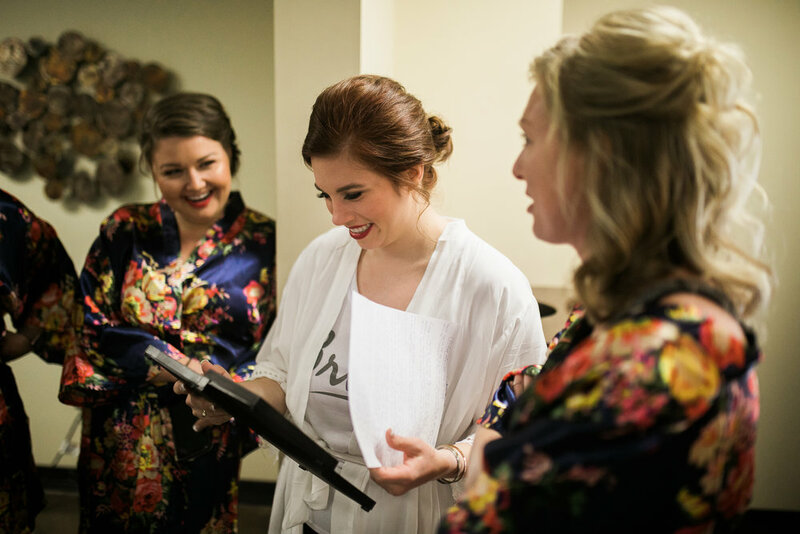 So much love and laughter was shared on this day and I am so happy I got the opportunity to document it! 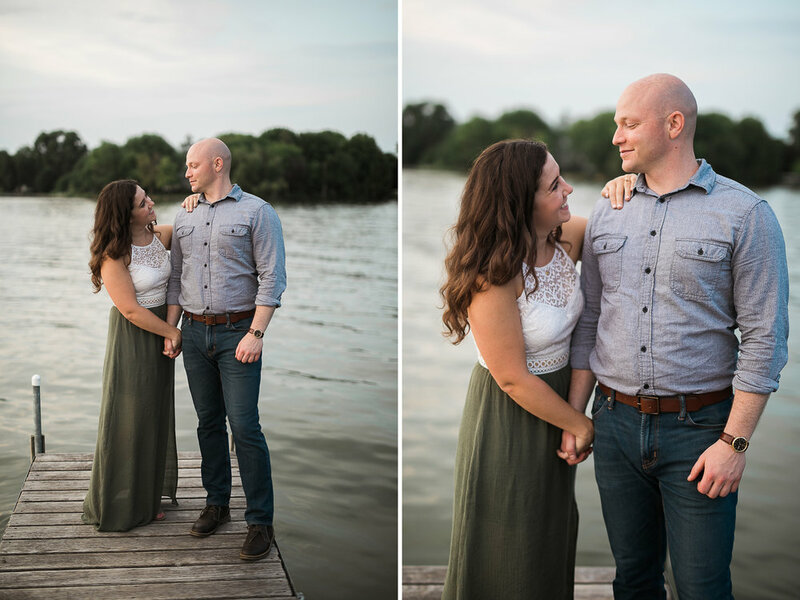 I love Madison for lots of reasons, but as a photographer I have great access to both city and natural backgrounds all in a close area! 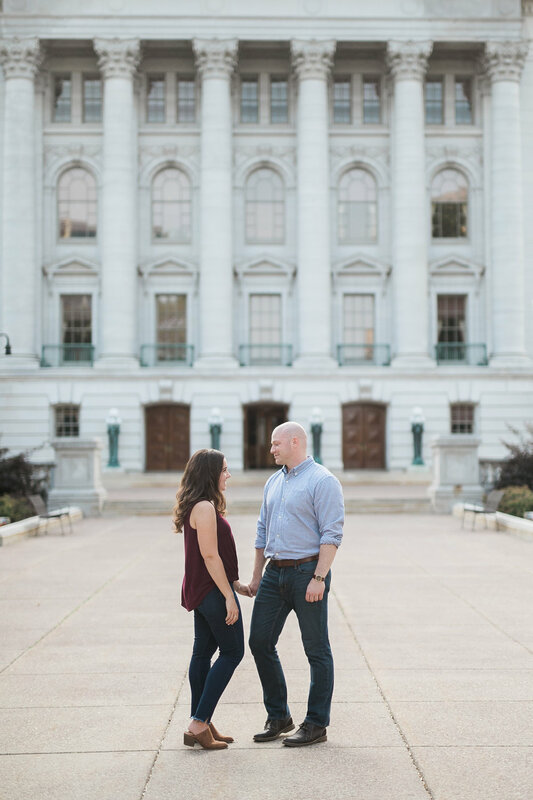 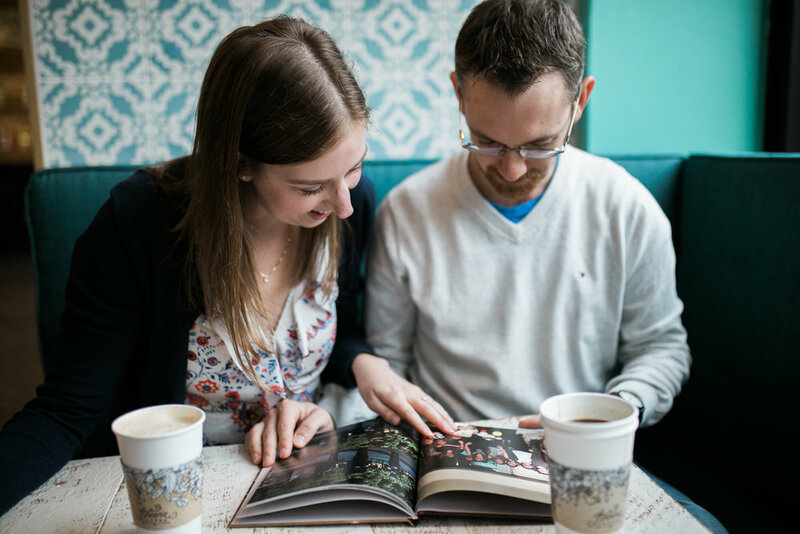 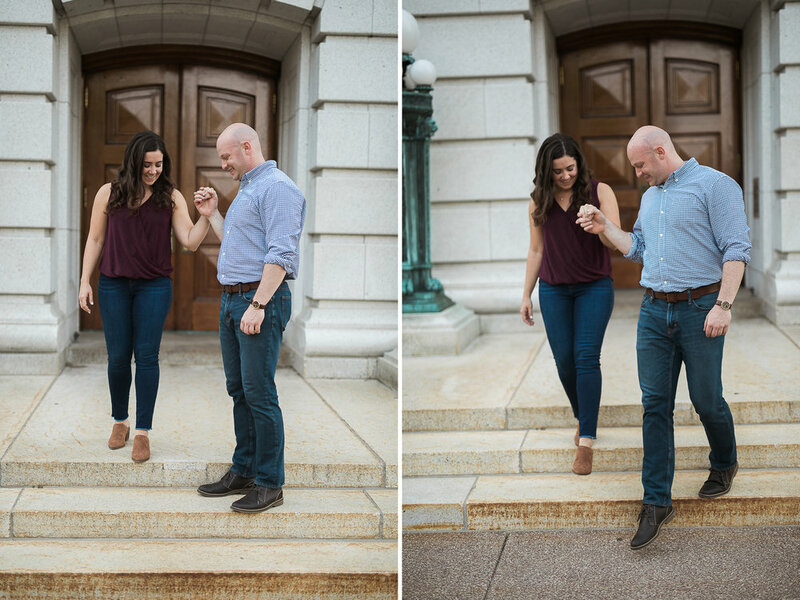 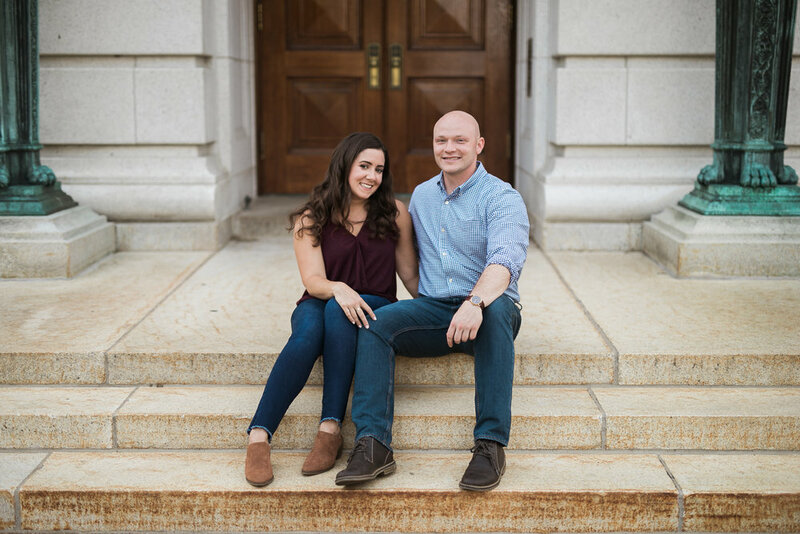 Not being from Madison, Annabeth and Patrick wanted to show off the city that they now call home in their engagement session. 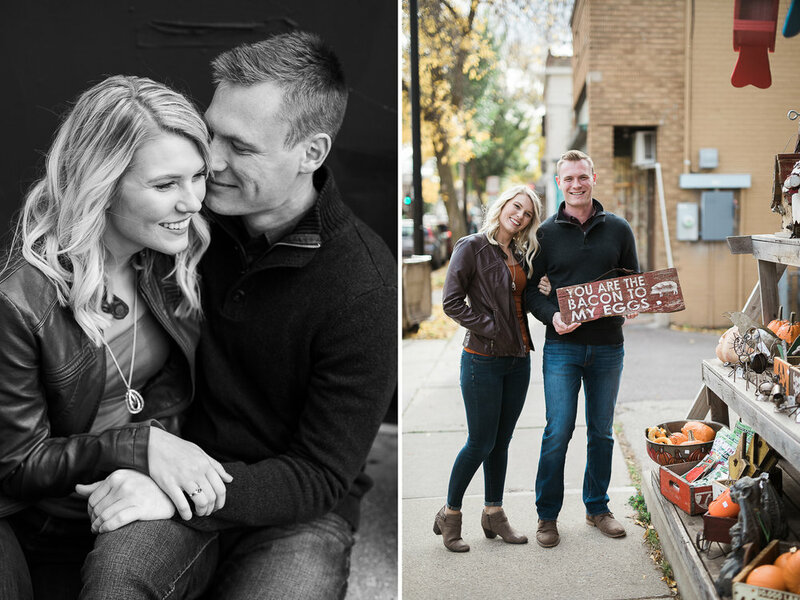 What better way to show off this midwest gem than to start downtown and finish on Lake Mendota! 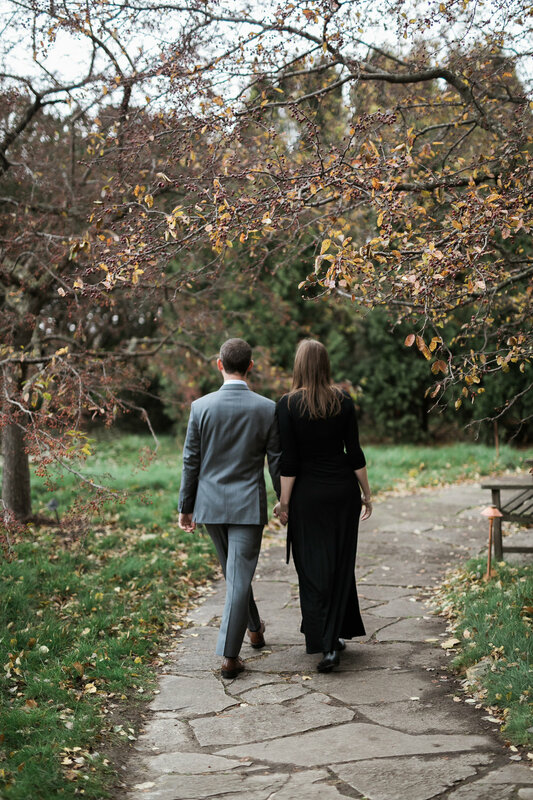 One of my favorite things to do is to just walk around and wander with my couples. 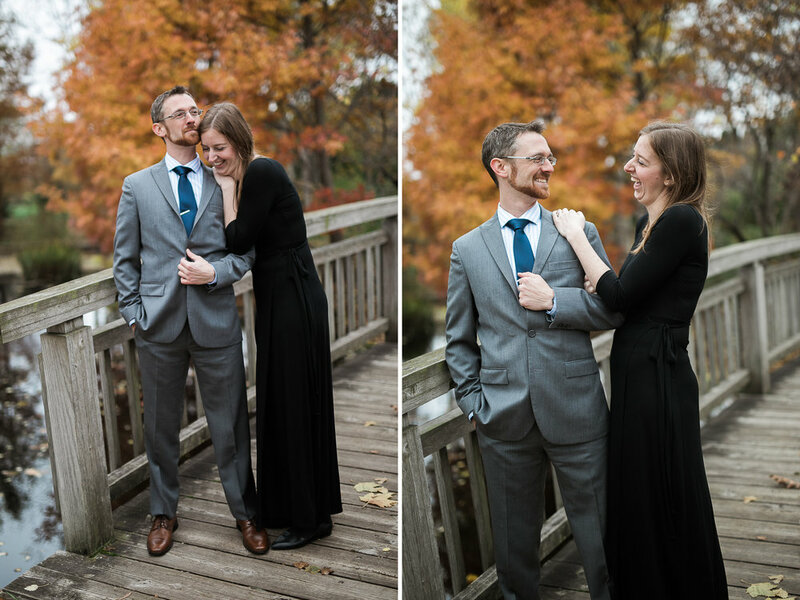 We talk, we stop for some portraits, and we keep walking and talking some more! 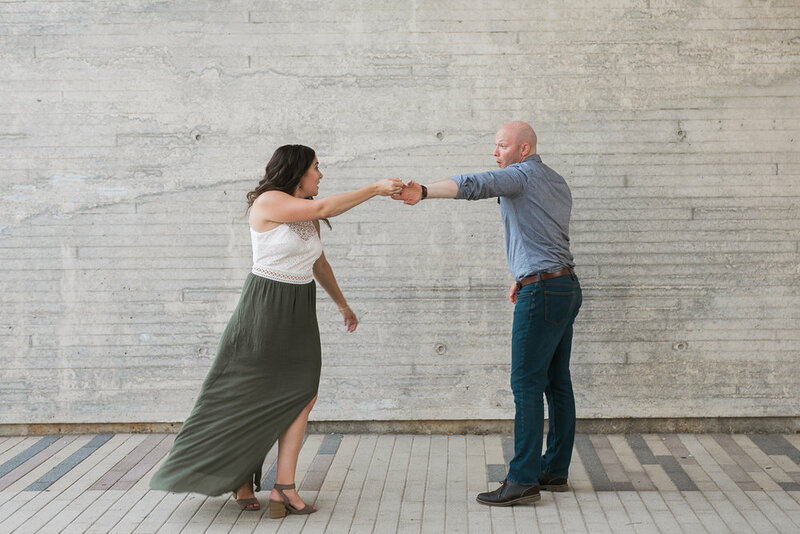 It’s relaxed, it’s easy, and fun for everyone! 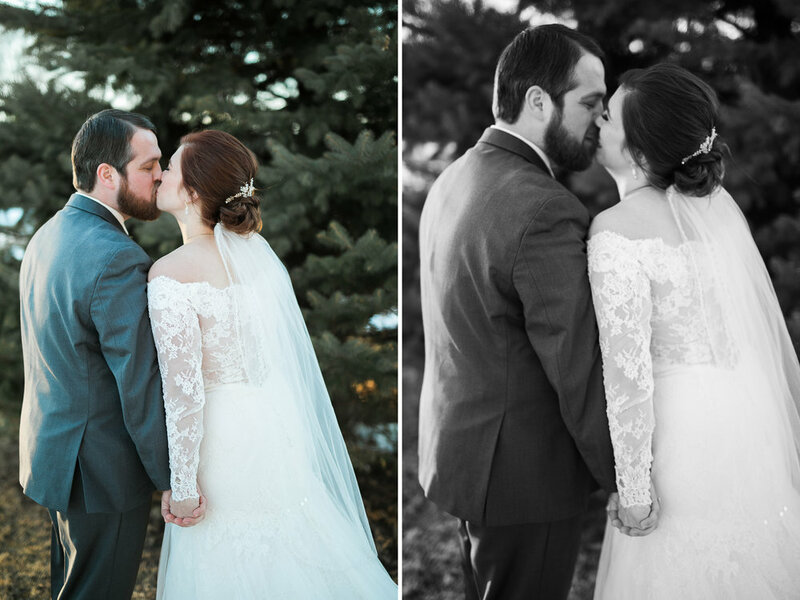 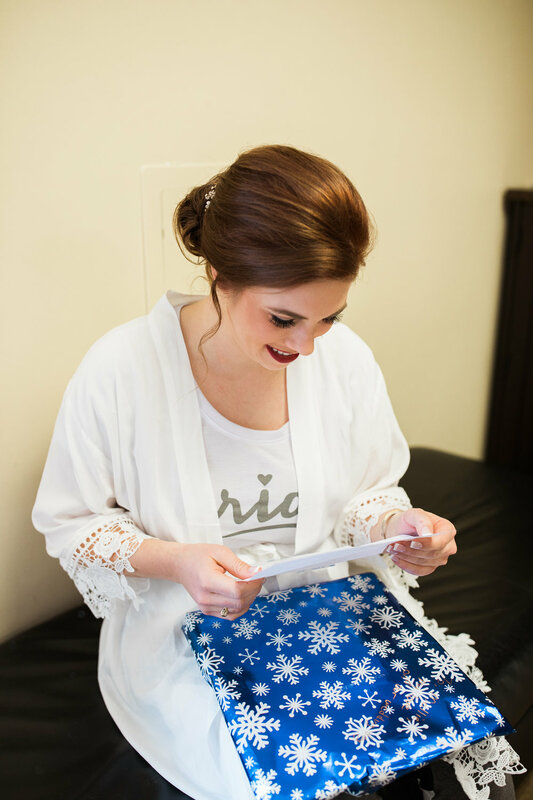 I think it’s time to start the year off right by highlighting some more sessions and weddings!! 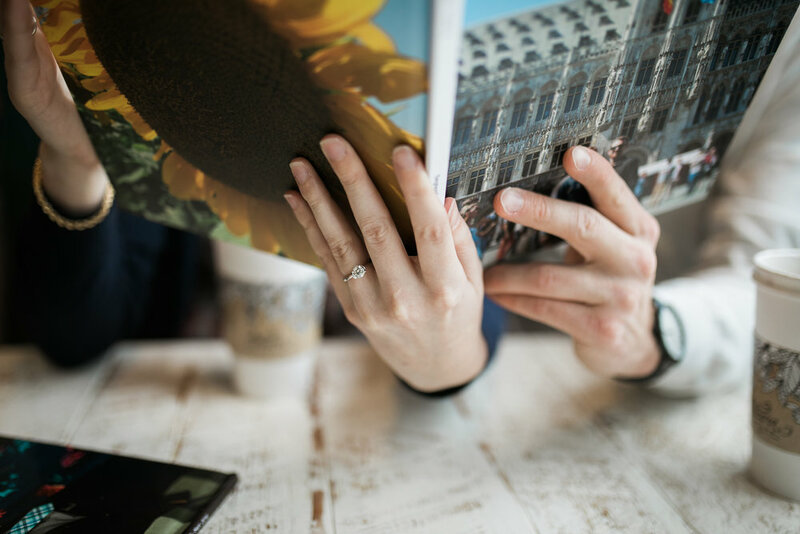 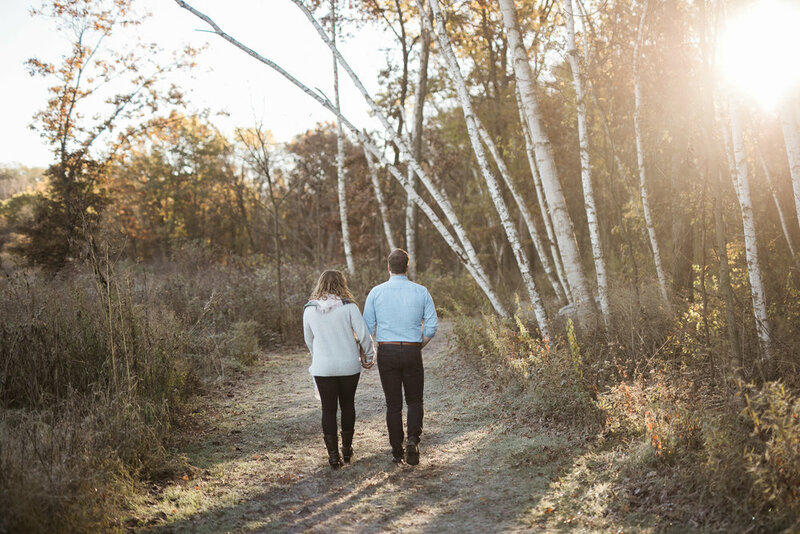 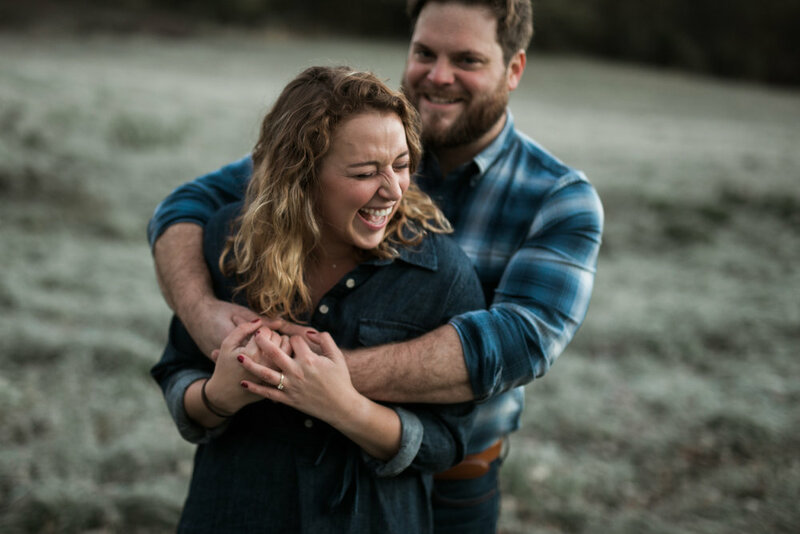 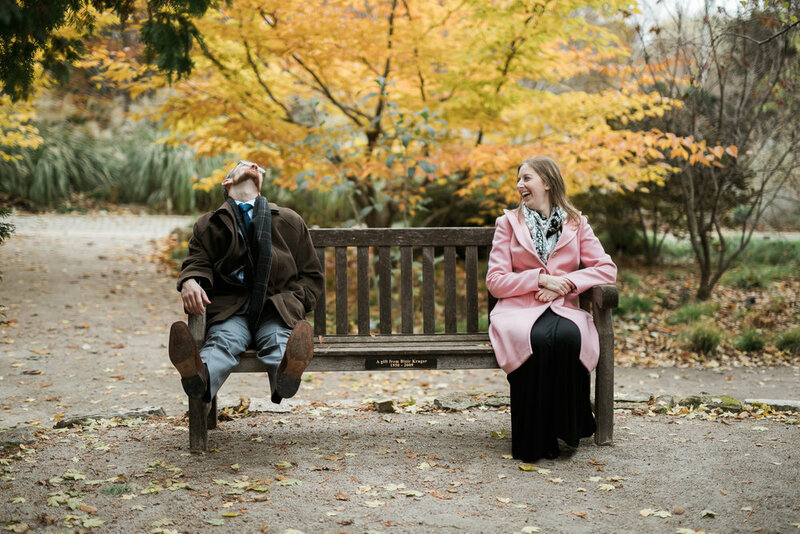 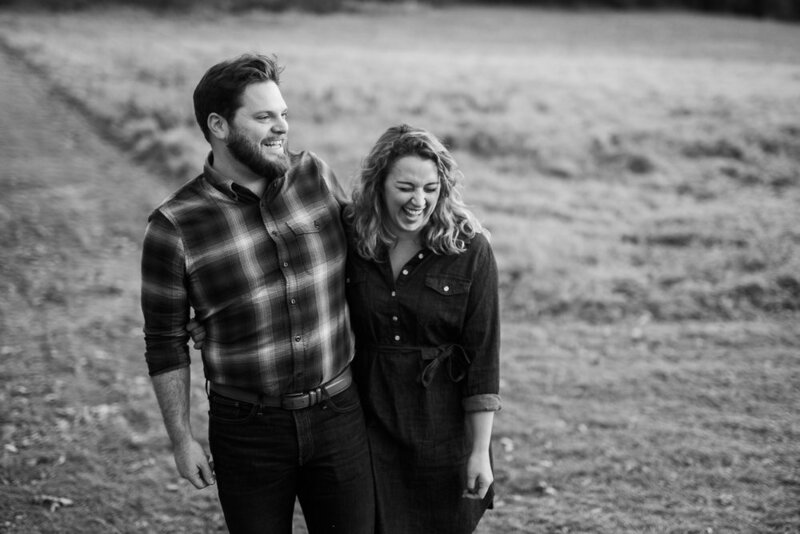 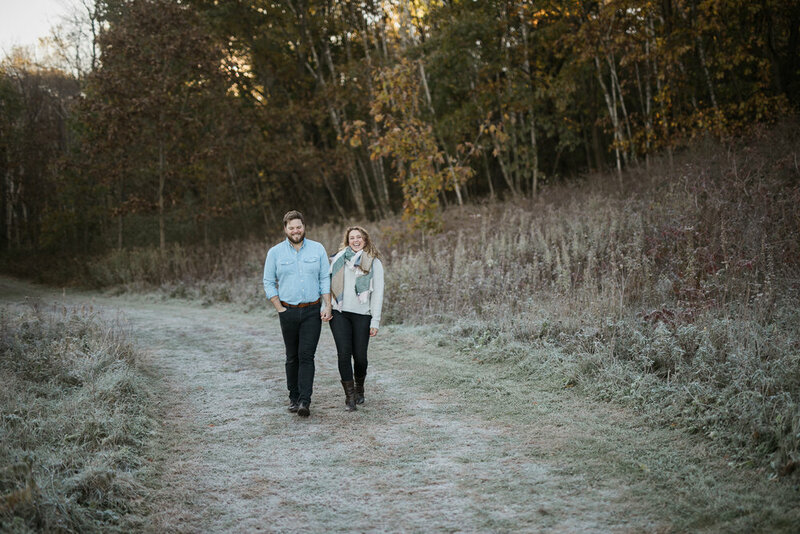 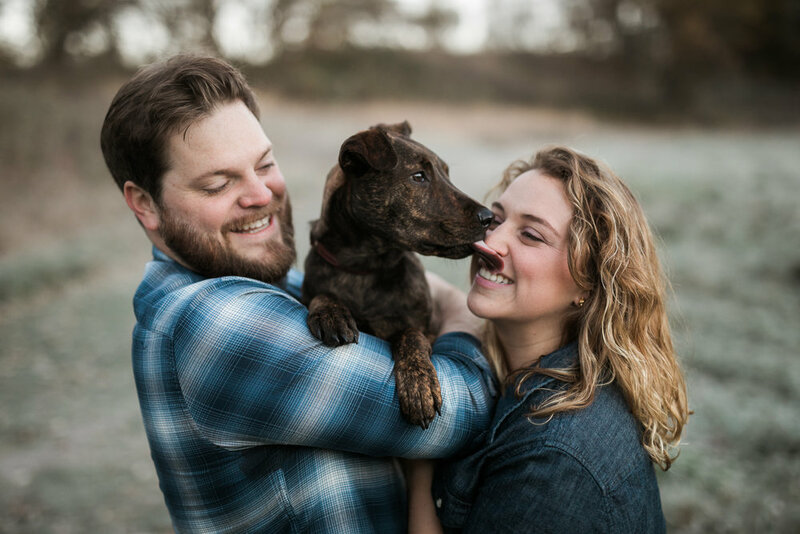 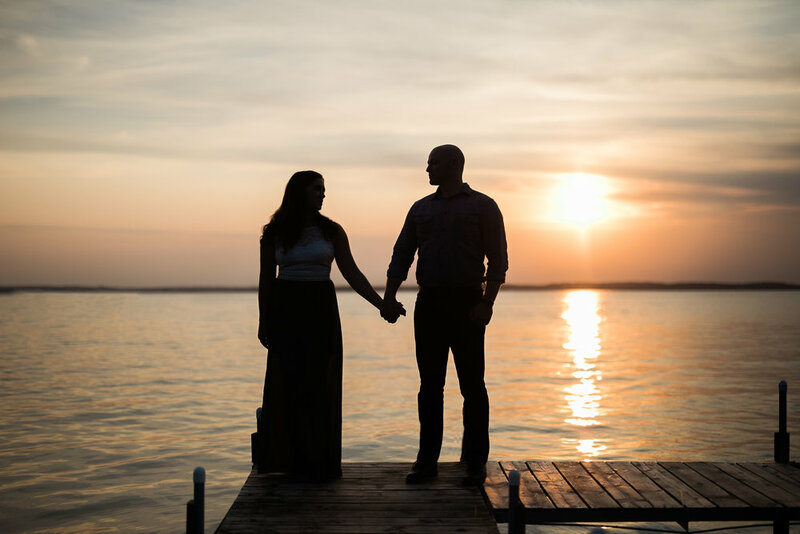 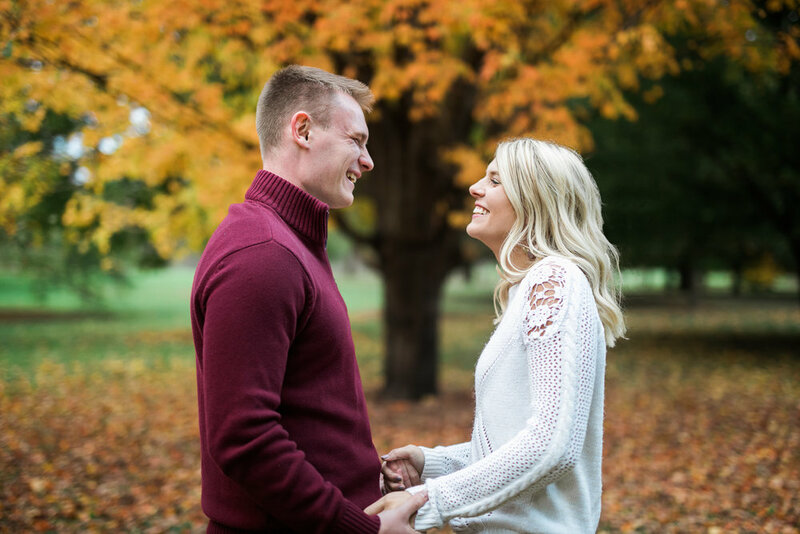 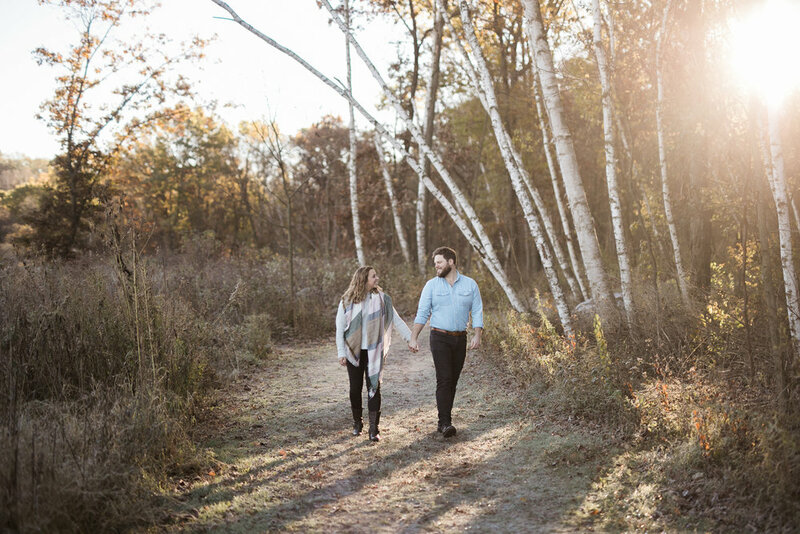 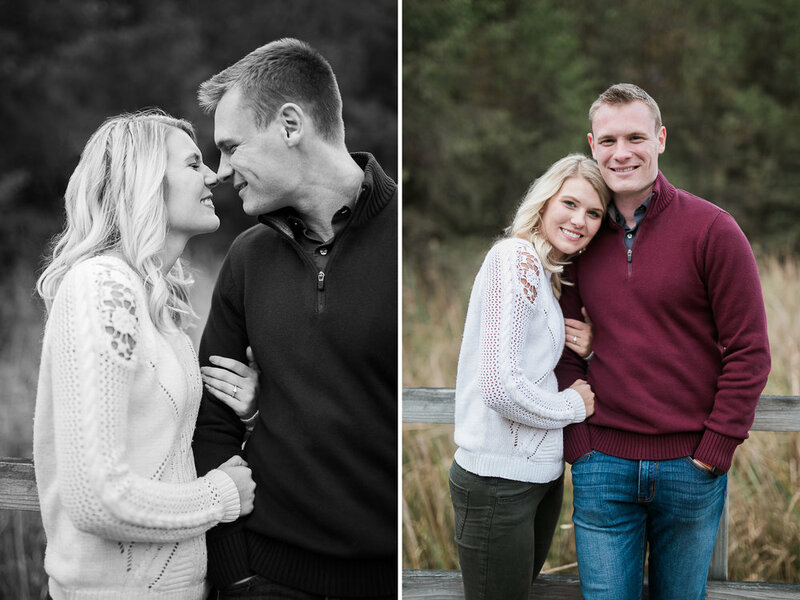 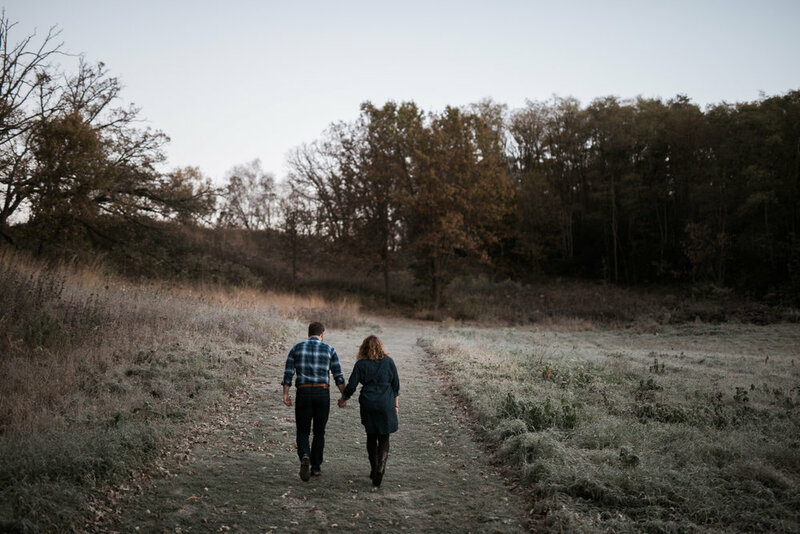 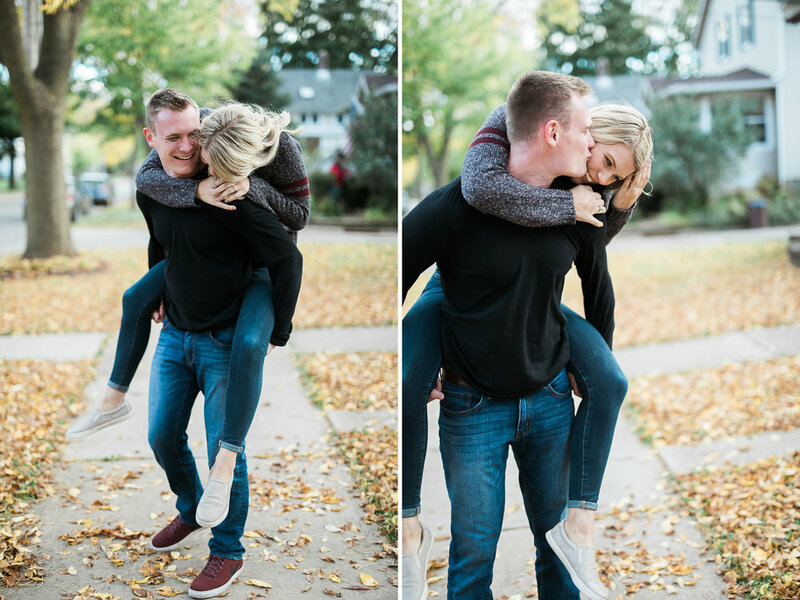 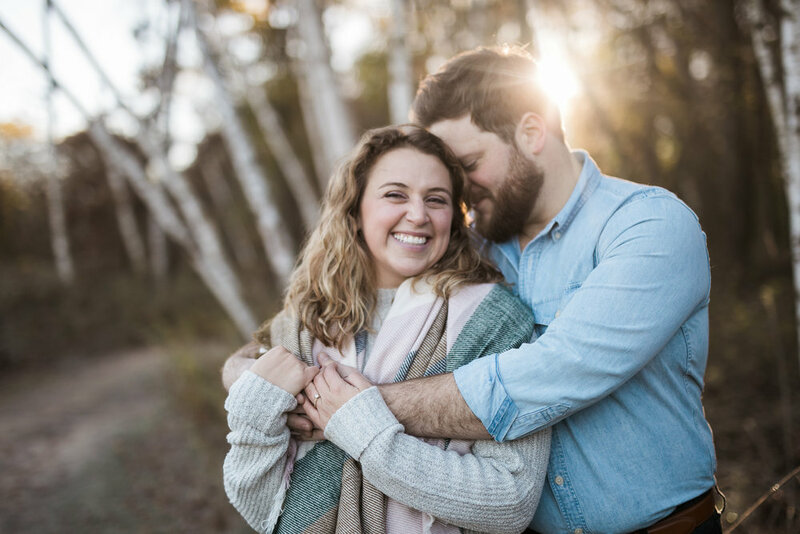 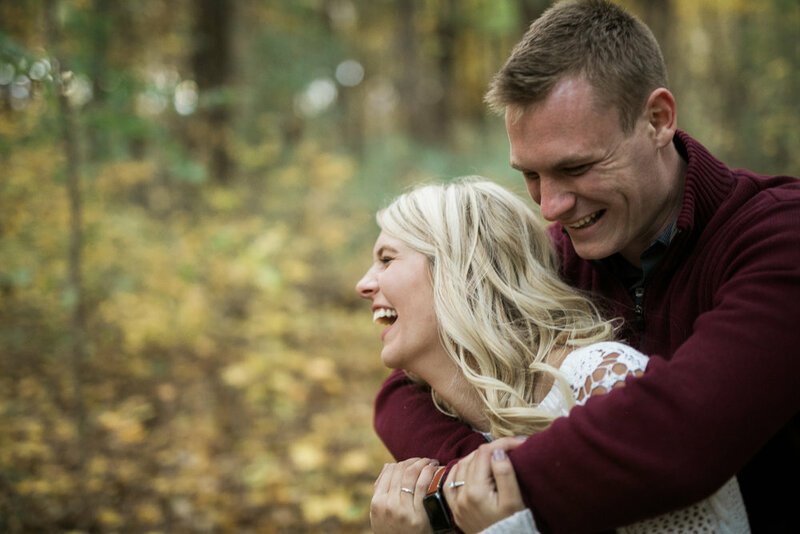 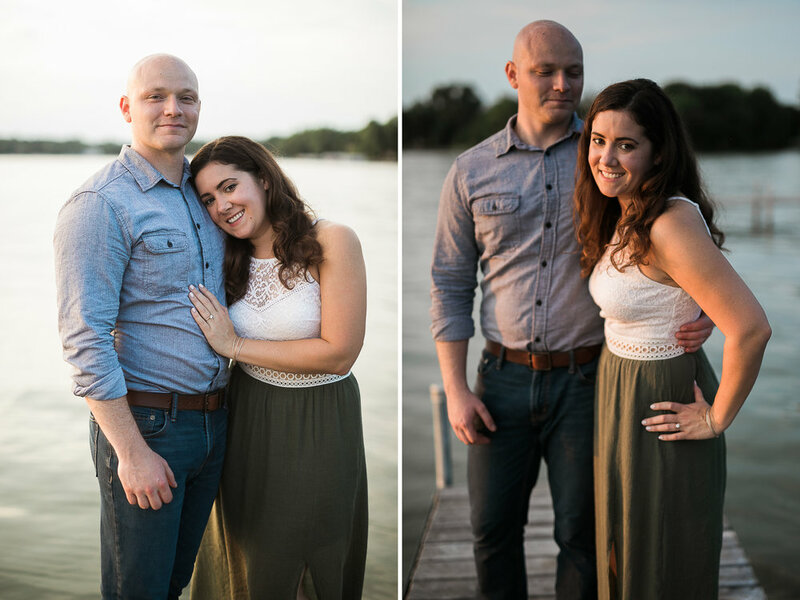 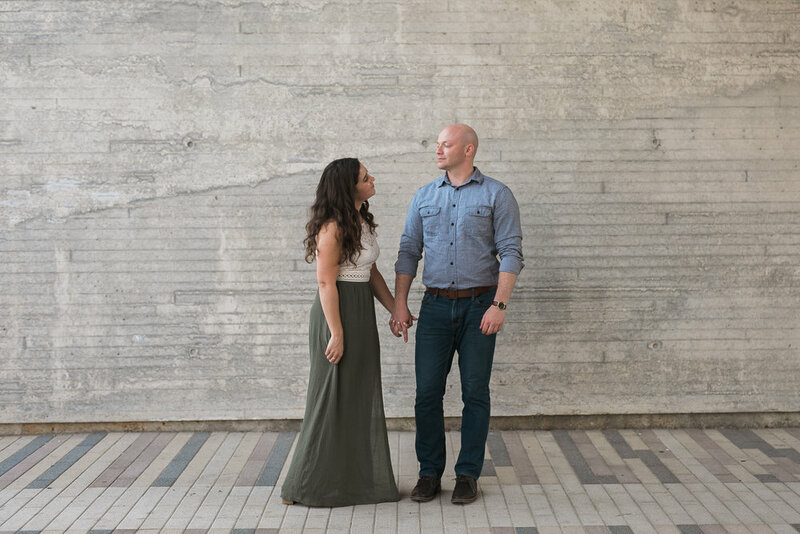 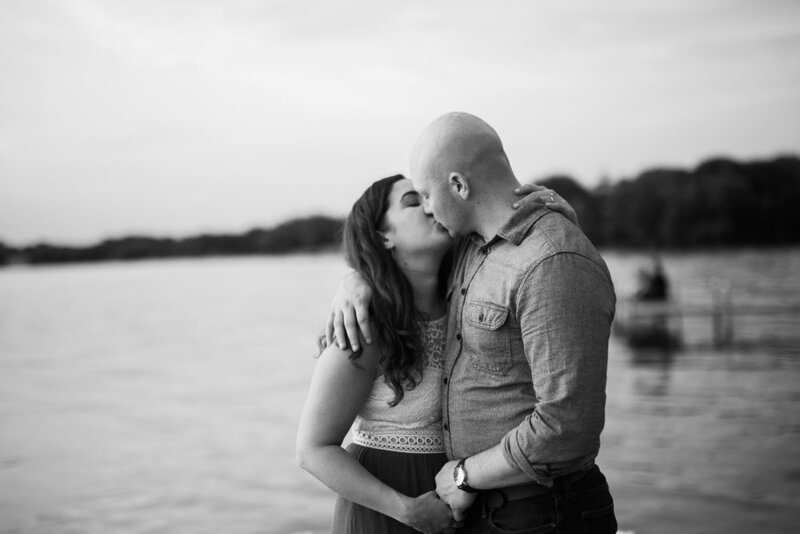 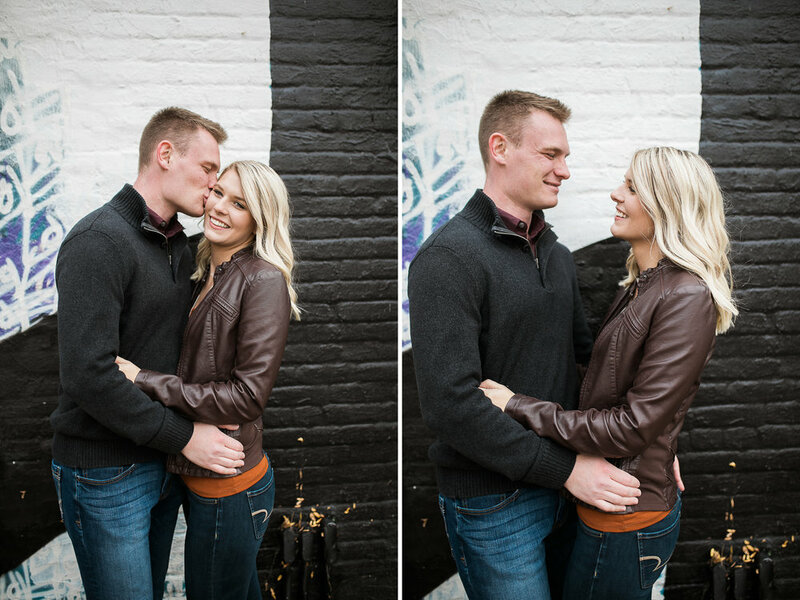 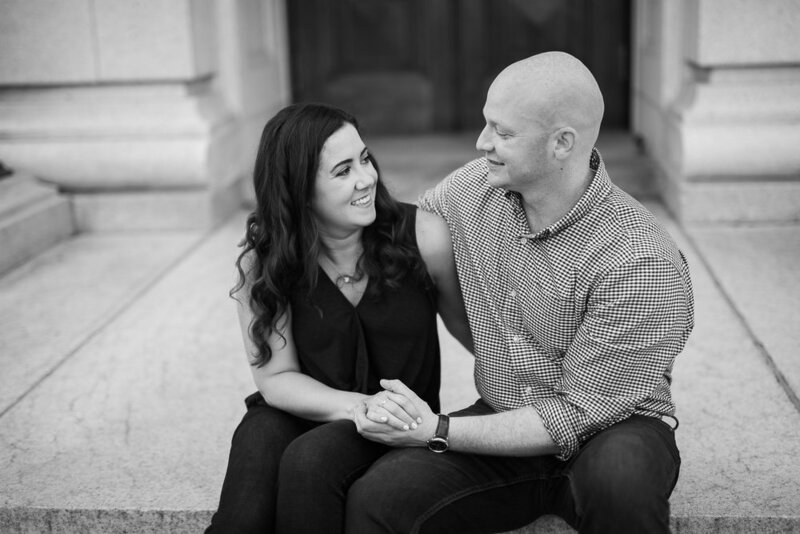 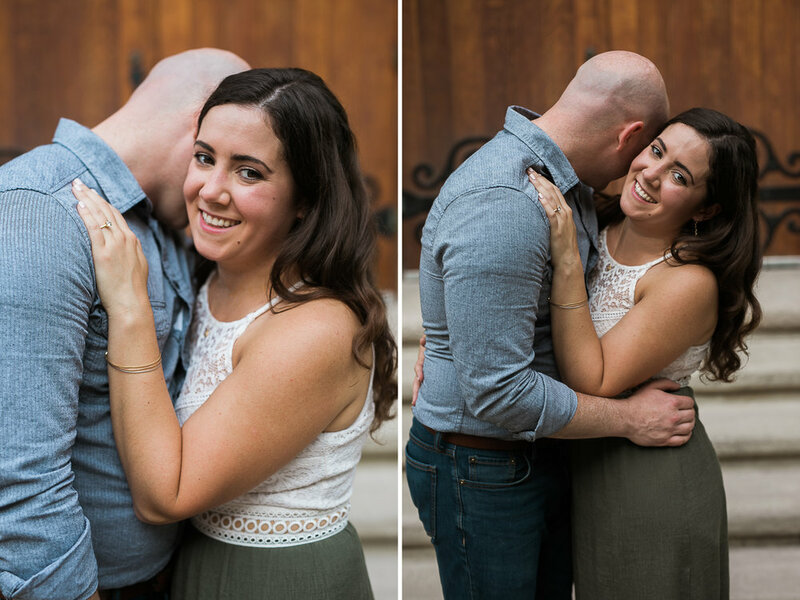 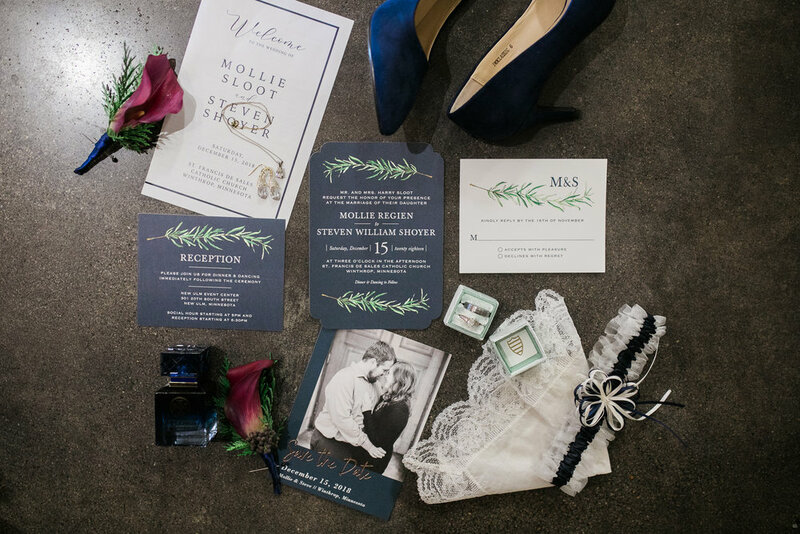 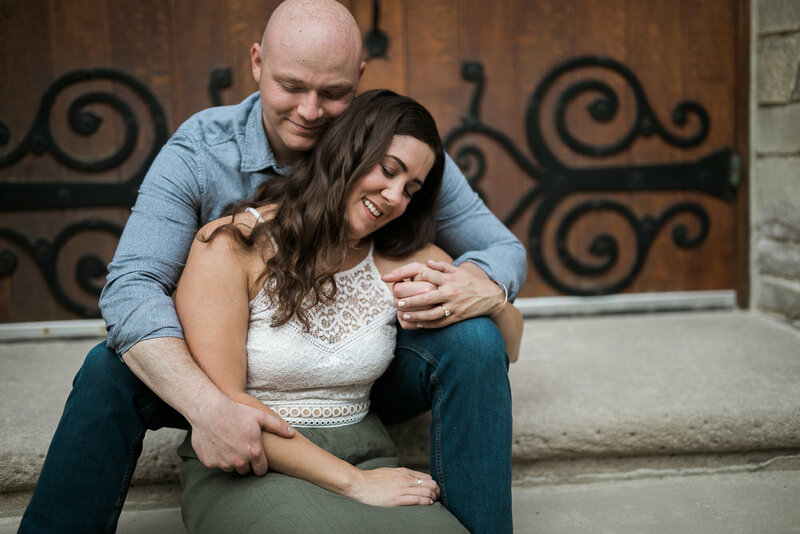 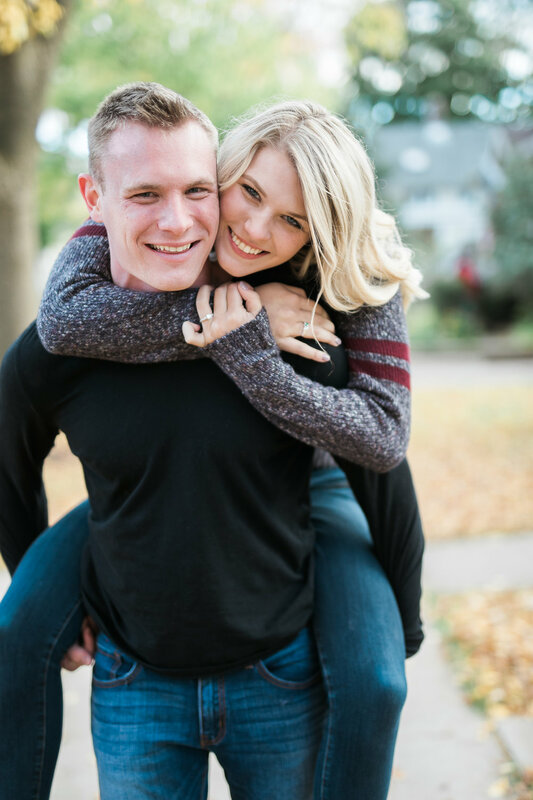 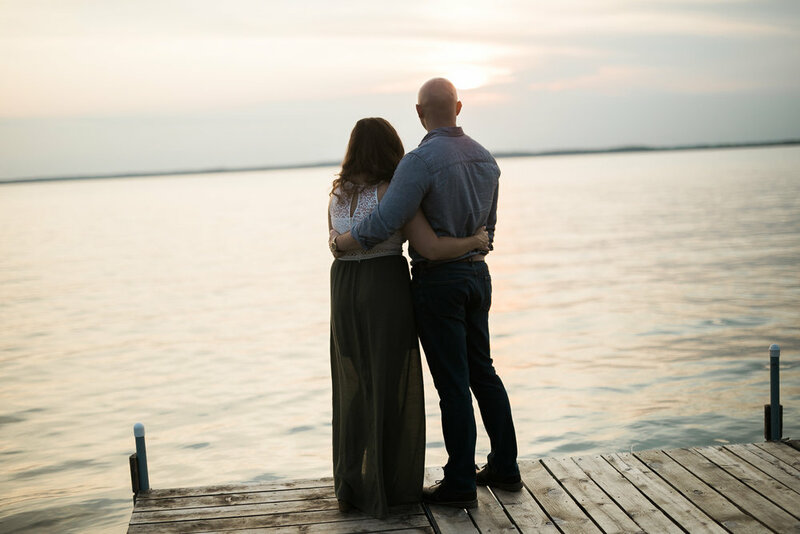 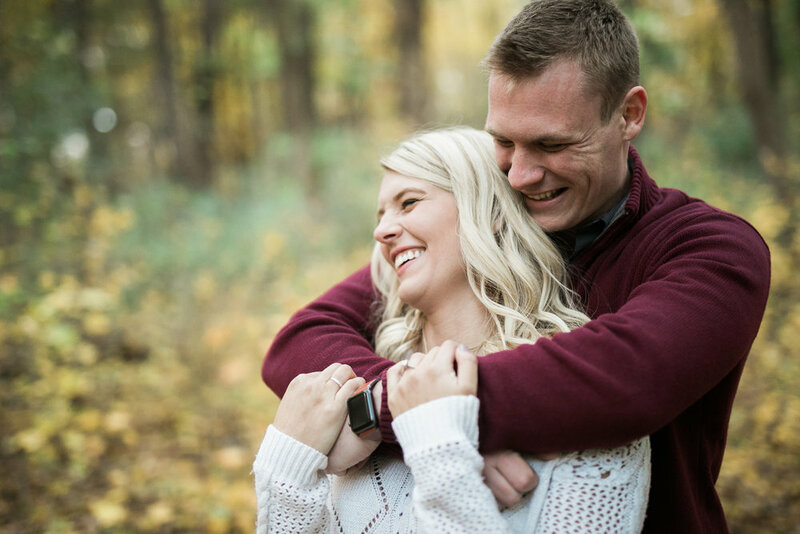 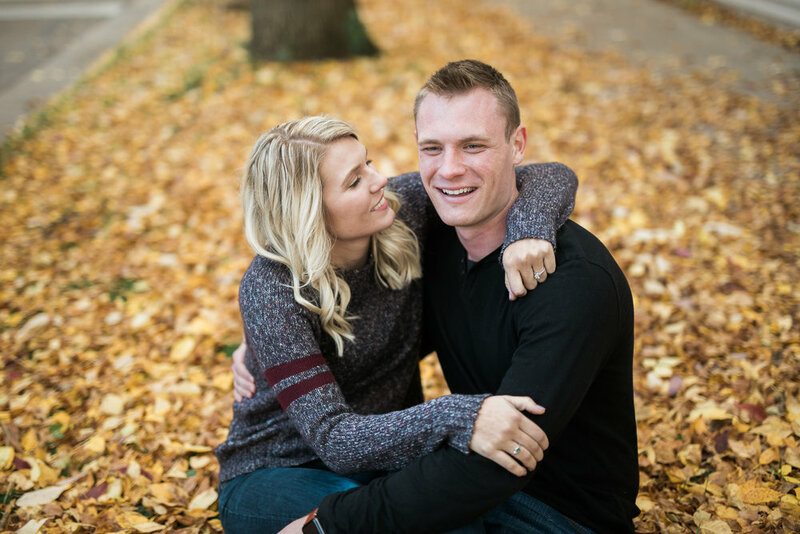 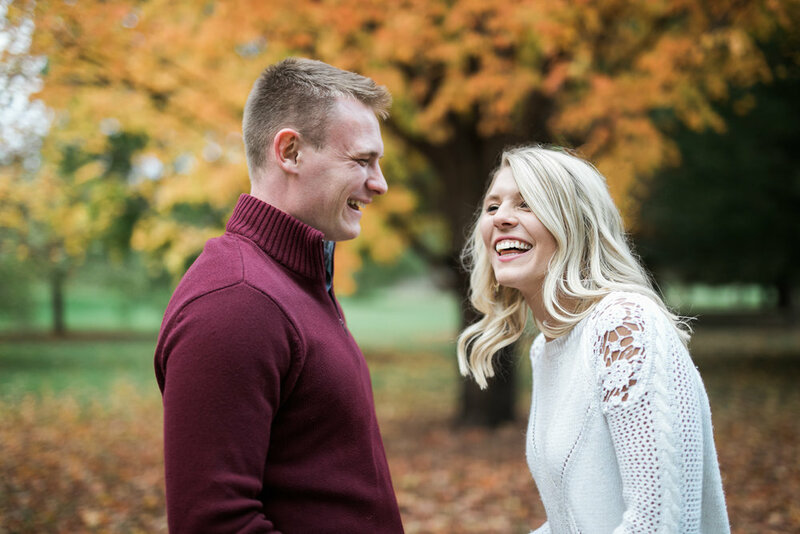 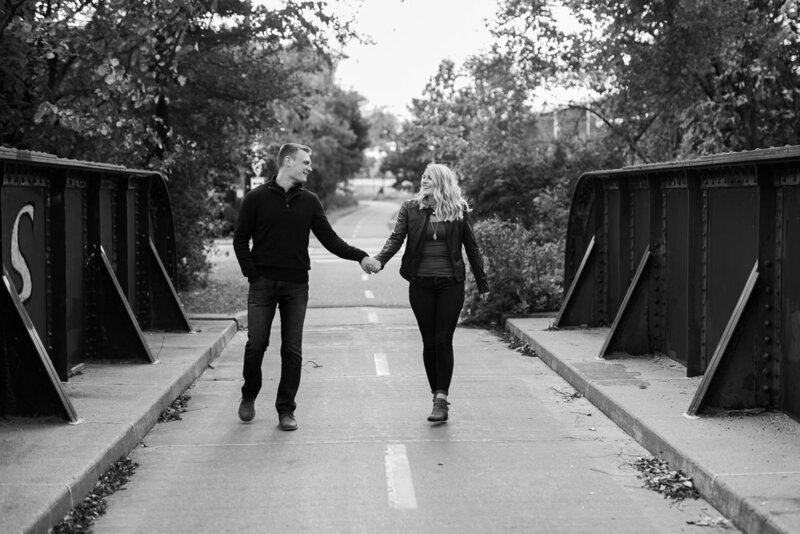 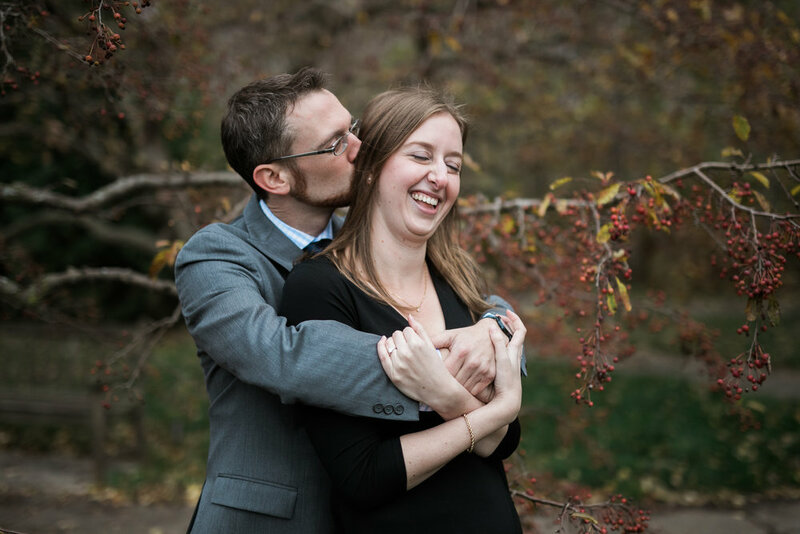 I think Chelsea and Jordan’s engagement session is the perfect way to start. 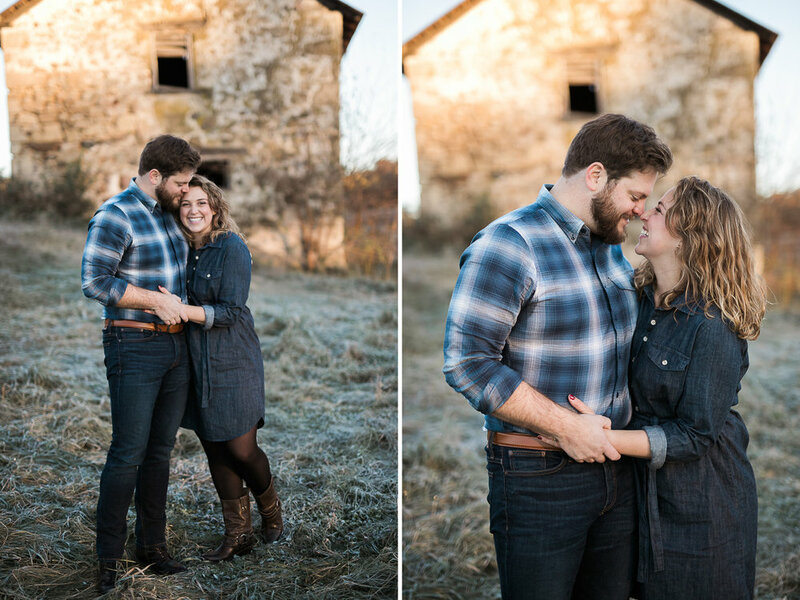 We met before the sun came up over the hills in Cross Plains and our early start time was totally worth it. 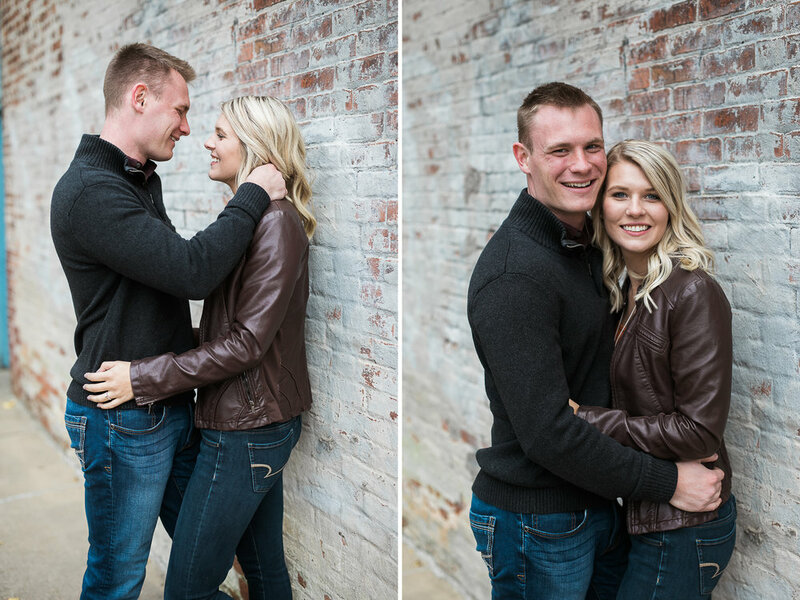 Not only are Chelsea and Jordan effortlessly adorable with each other but they were just so much fun to hang out with! 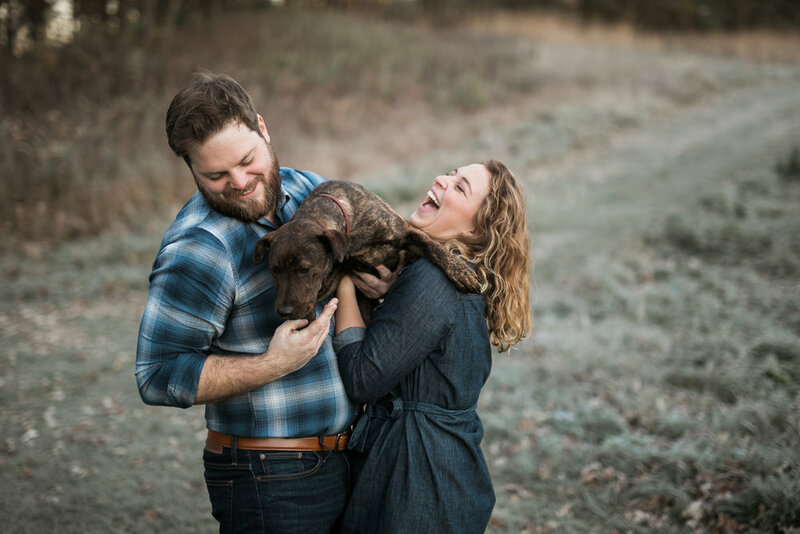 And the fact that they wanted to include their adorable pup? 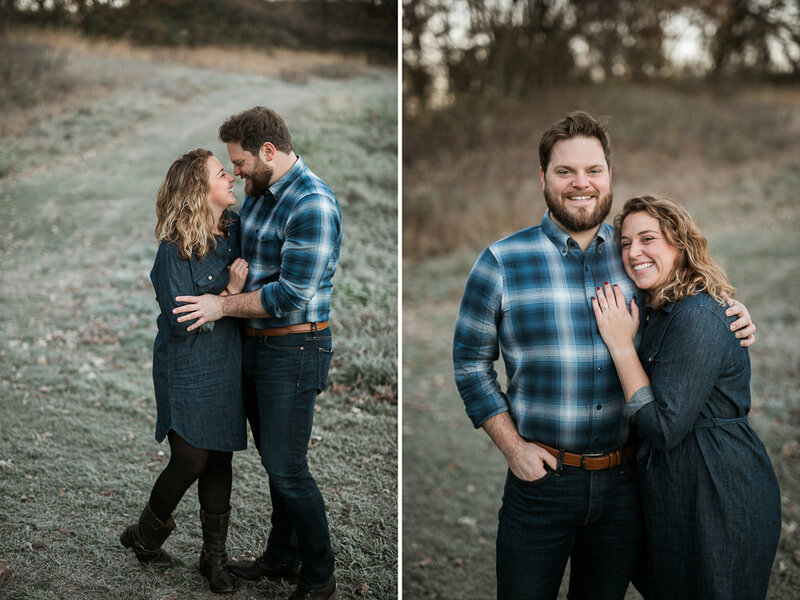 Well that just makes me want to be best friends with them for life ;) I had actually never been out to Indian Lake County Park yet and I don’t actually do many sunrise sessions, but this is further proof that new locations and setting an early start time are totally worth it! 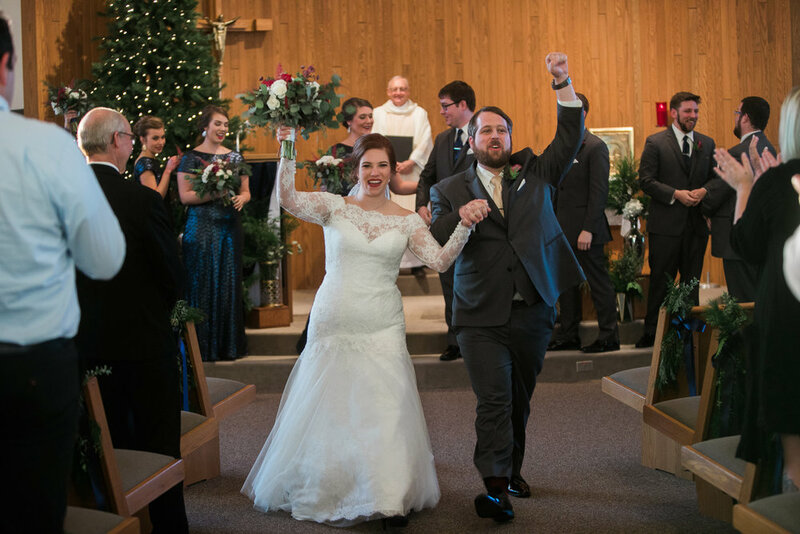 Happy new year, everyone!! 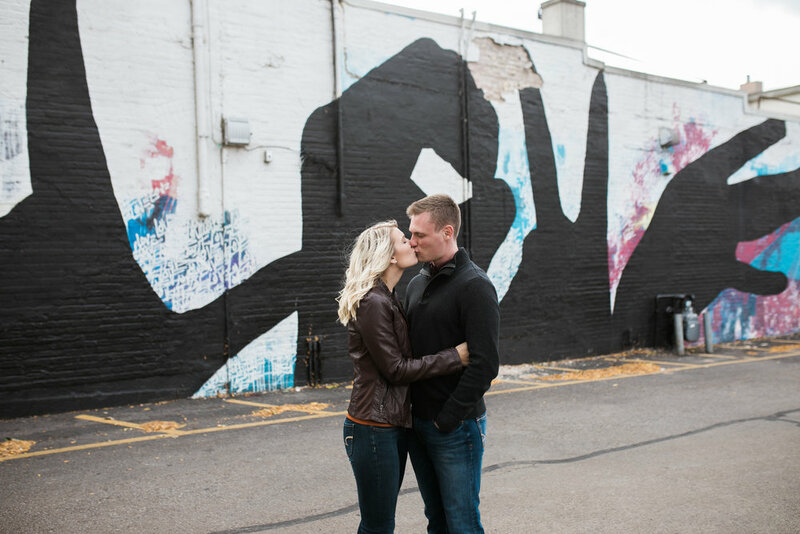 One thing I really love to do is wander around while we take portraits. 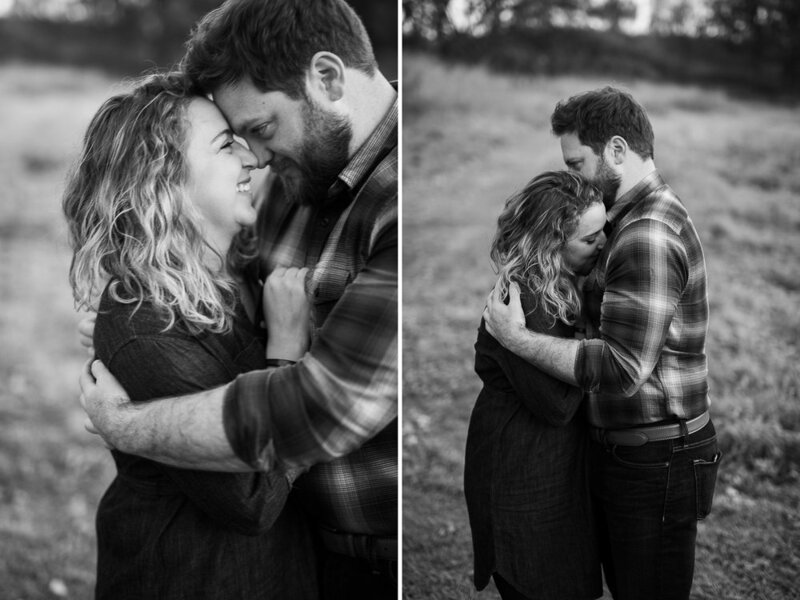 I think it makes everything more relaxed and natural (haha as natural as it can be getting portraits taken) because it’s something you just do normally! 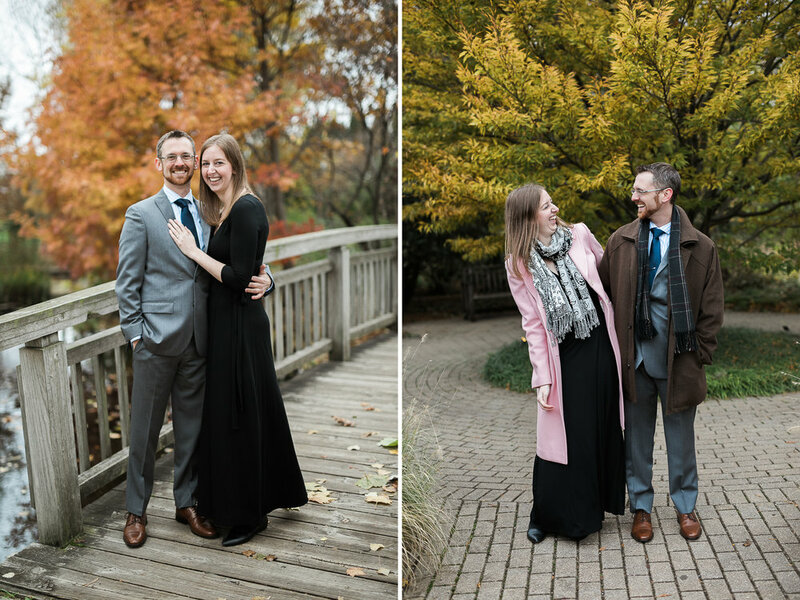 We got a lot a lot of great fall color as we made our way around Willy St and finally out to the Arboretum! 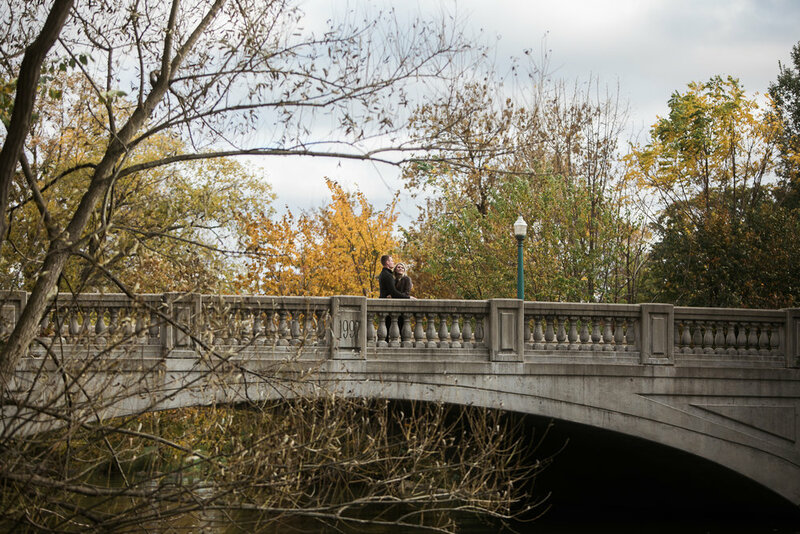 And you never know what you may find or decide to do as you’re wandering! 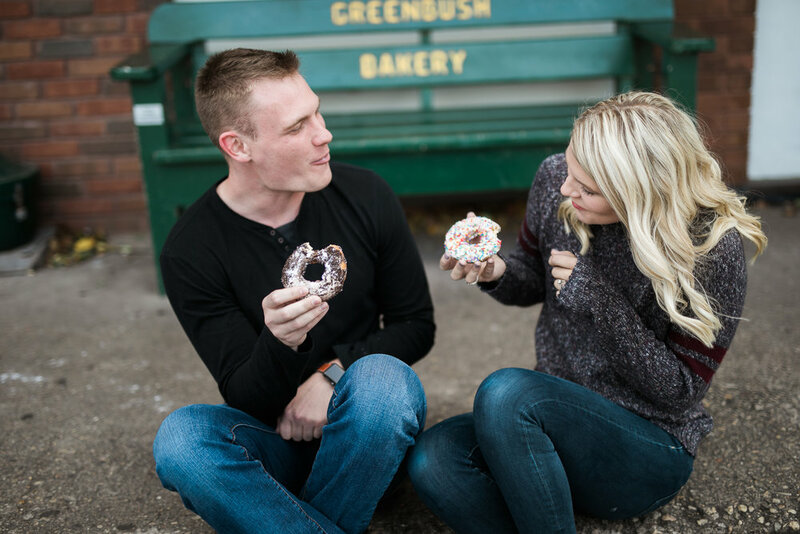 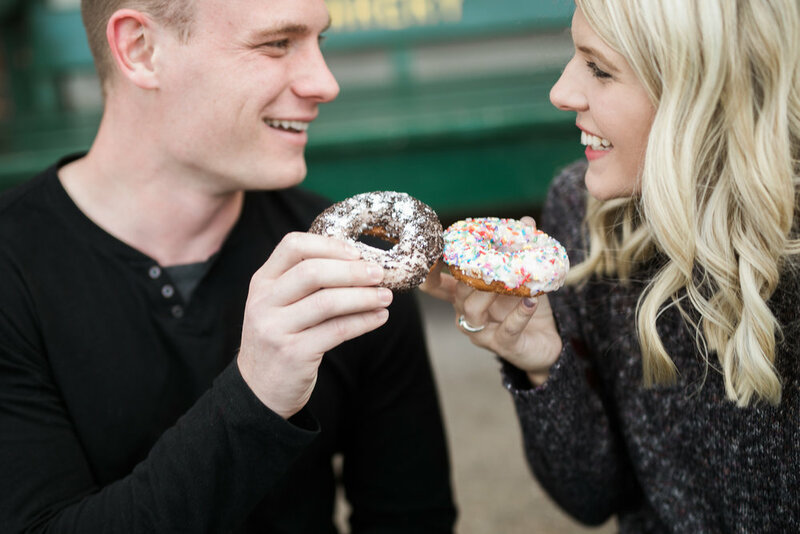 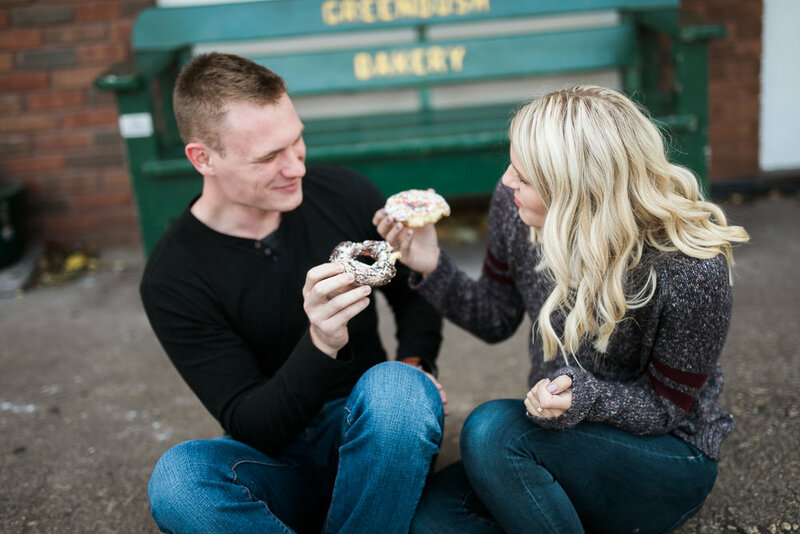 Found a great sign and made a super smart decision to stop for donuts :) Brittney and Eric were so effortless to photograph though as they are naturally affectionate and filly with each other!